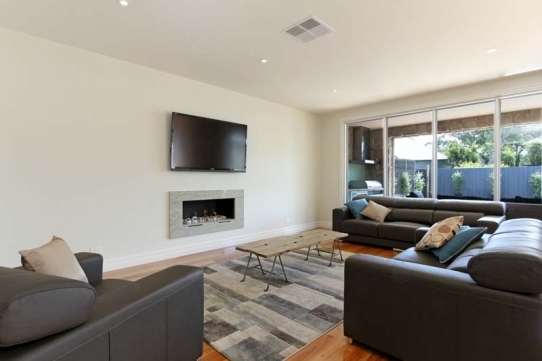 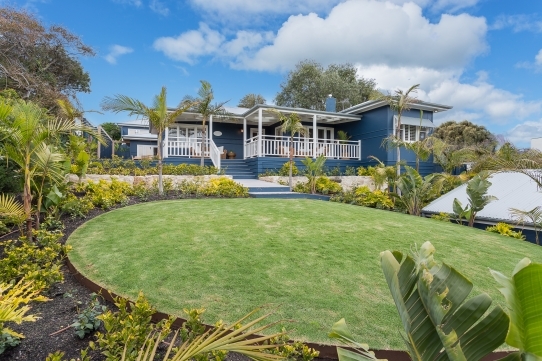 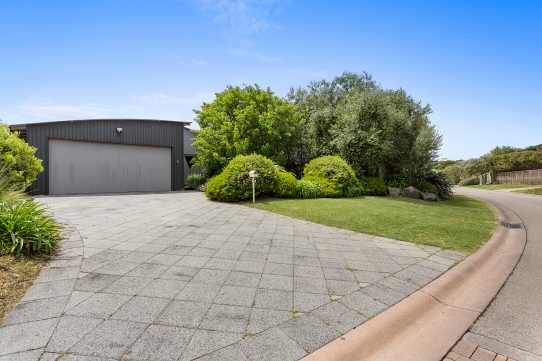 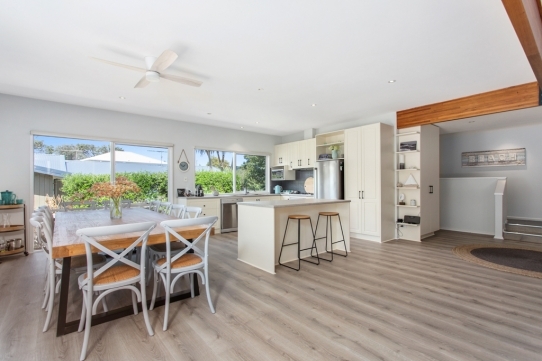 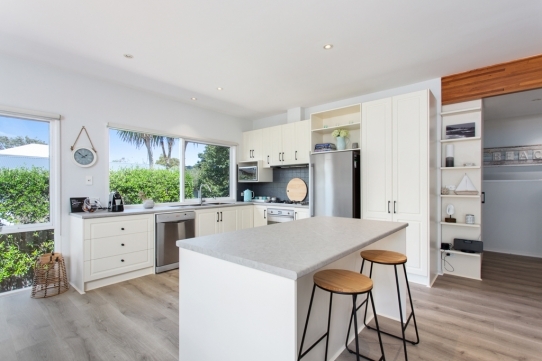 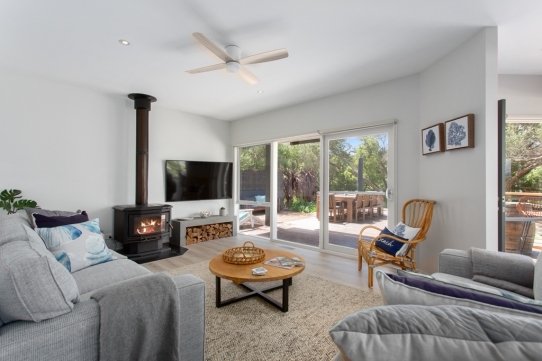 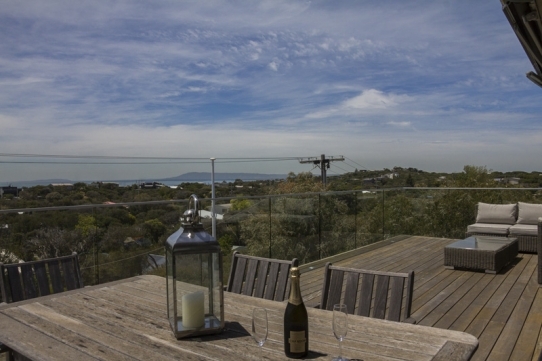 Island Home is positioned in a sought after location, only a few hundred metres walk to the Sorrento main street and beaches. 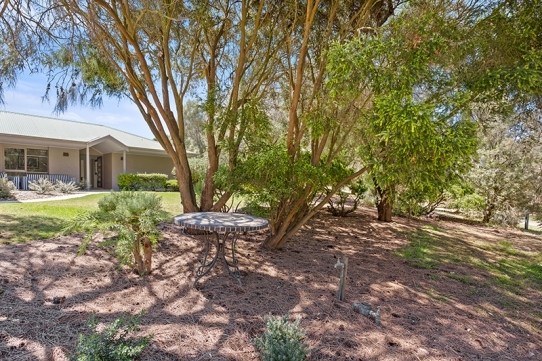 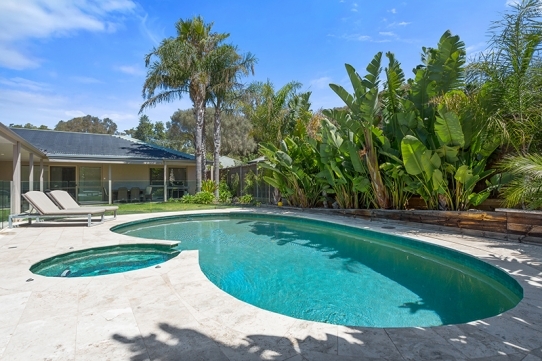 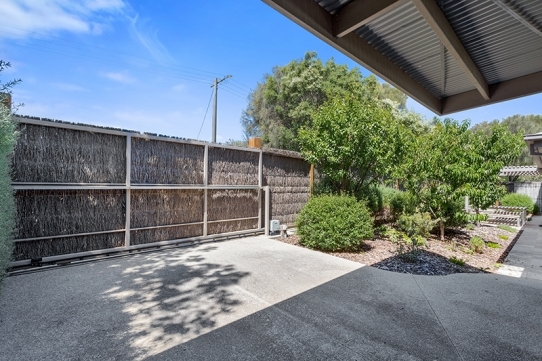 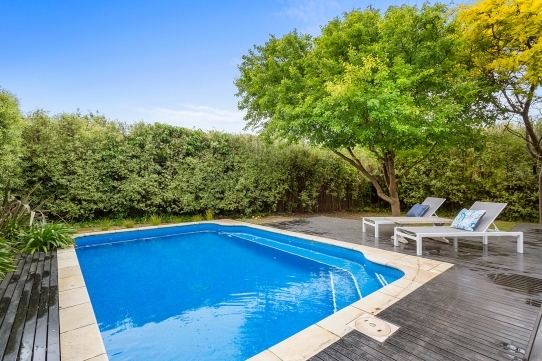 The property offers a fully fenced private oasis set around a lovely pool and spa outdoor area. 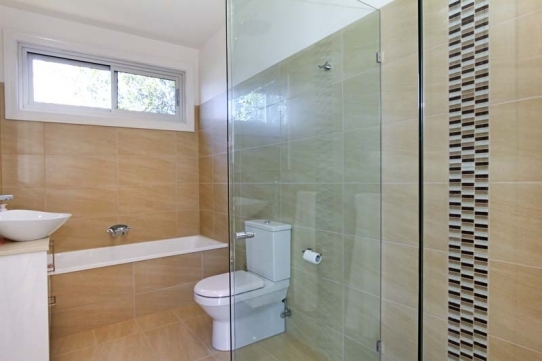 This newly renovated home offers all new furniture, 4 bedrooms, 2 bathrooms (one with bath) and a 3rd toilet. 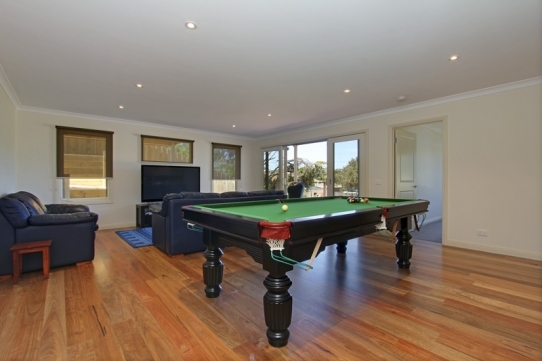 Free WiFi and Foxtel. 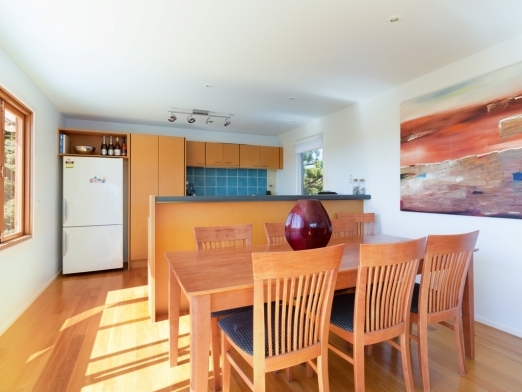 Just a walk to the front or back beaches and the Koonya Store very close by. 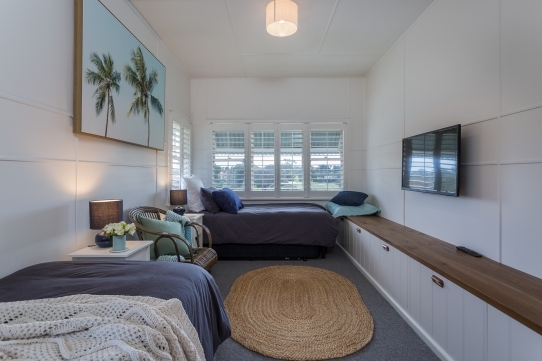 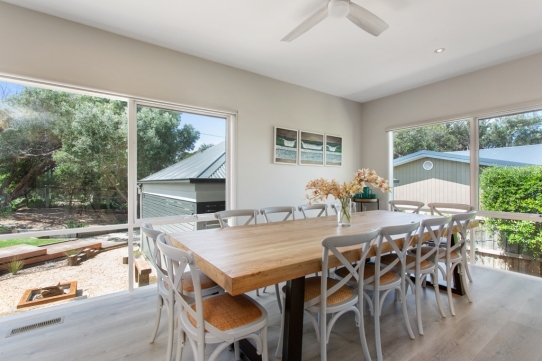 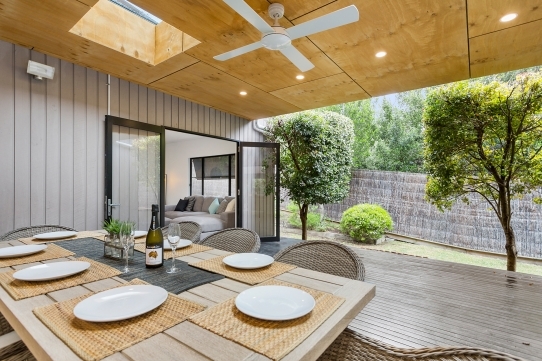 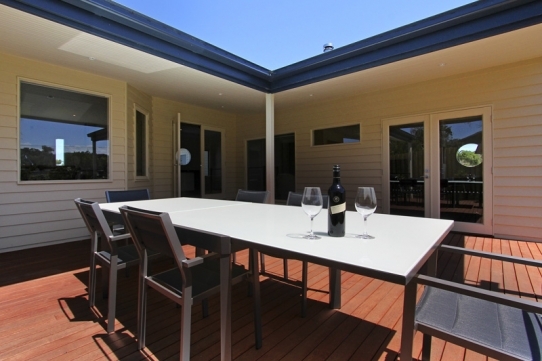 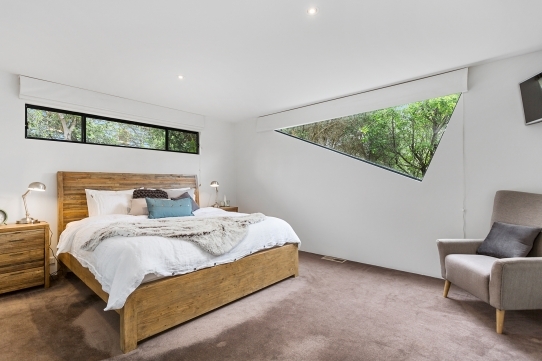 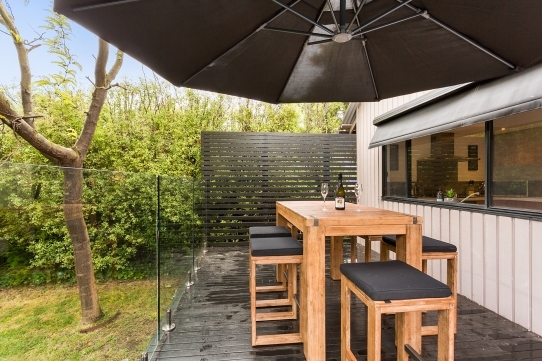 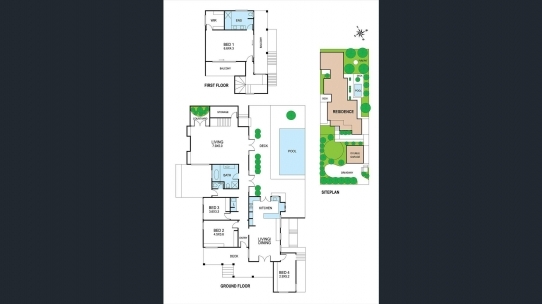 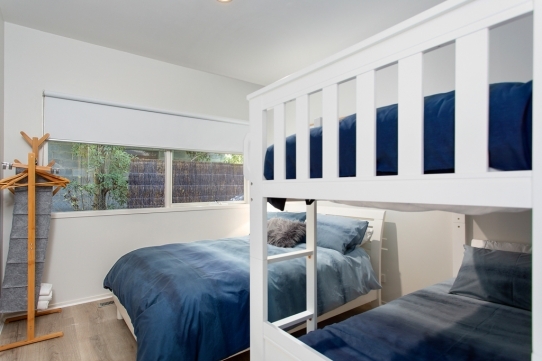 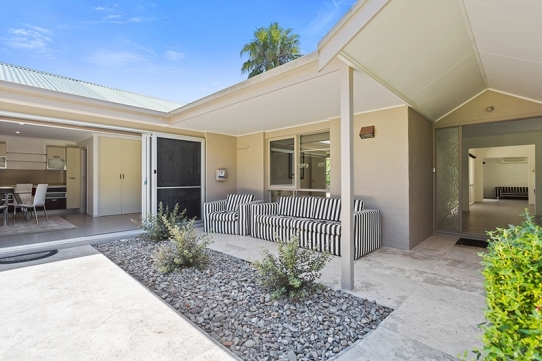 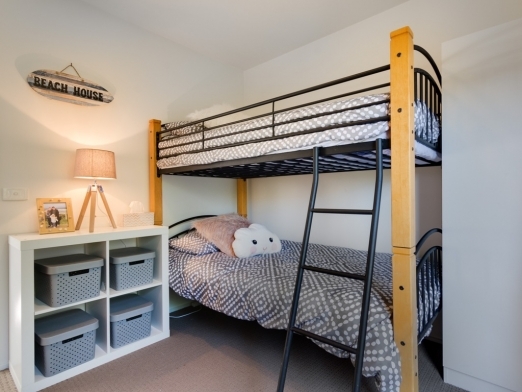 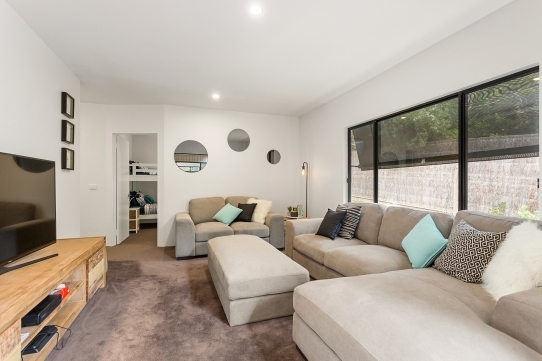 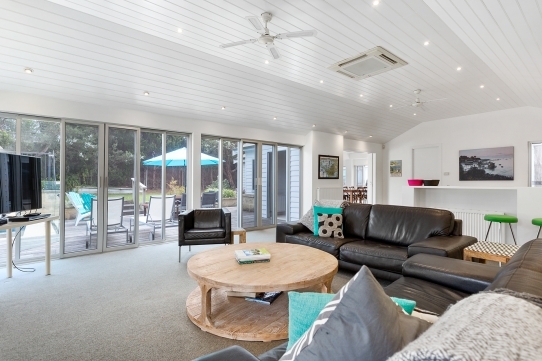 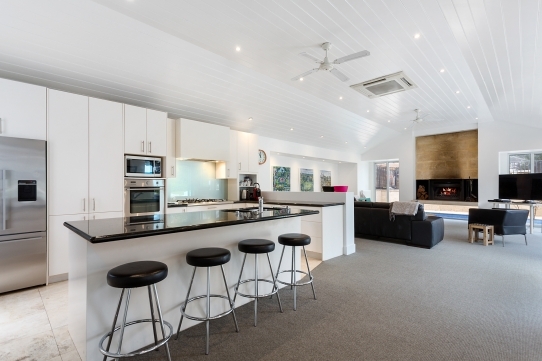 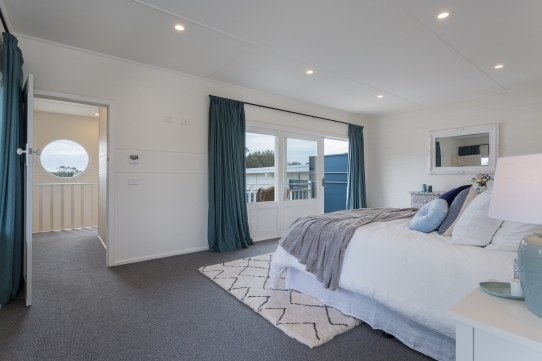 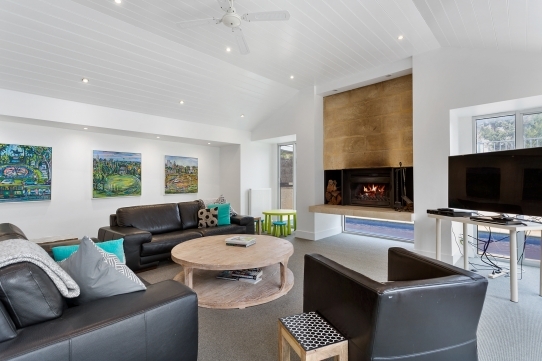 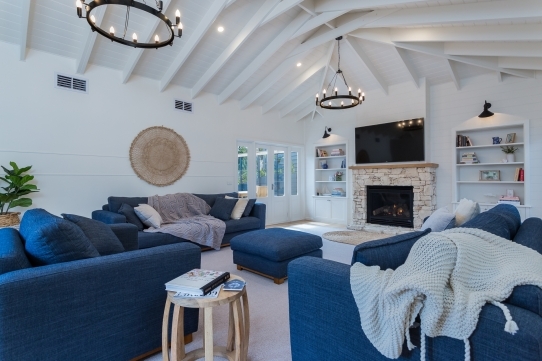 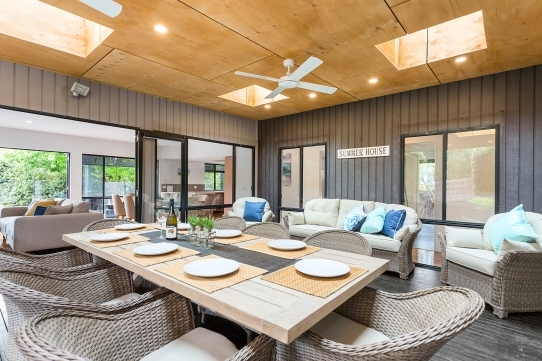 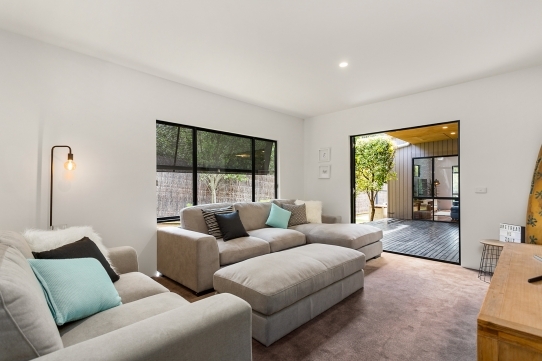 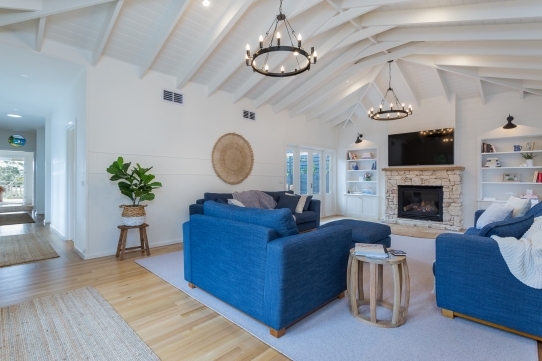 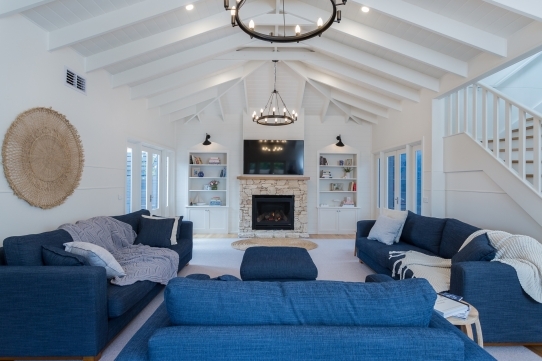 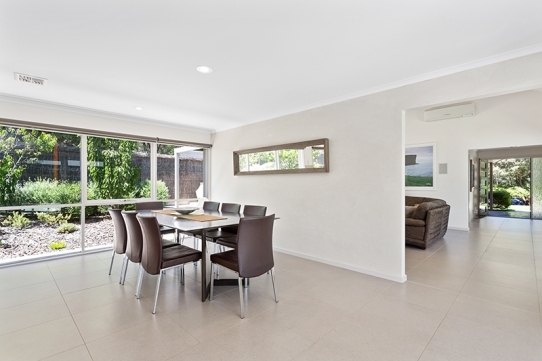 Retreat 95 is the ideal in relaxed, indoor/outdoor living. 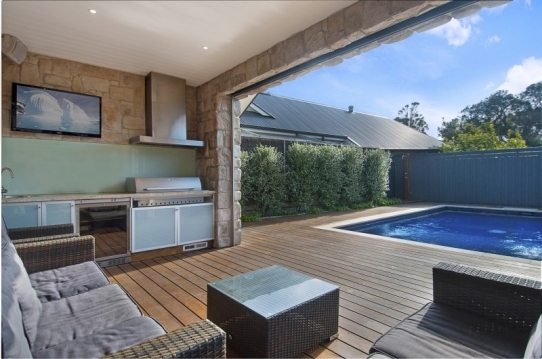 The outdoor area is to envy with solar heated swimming pool, spa and relaxed seating areas so that you can enjoy the outdoor space. 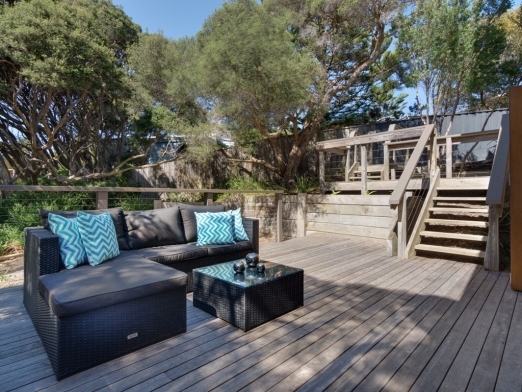 Seaside Splendour leaves you wanting for nothing. 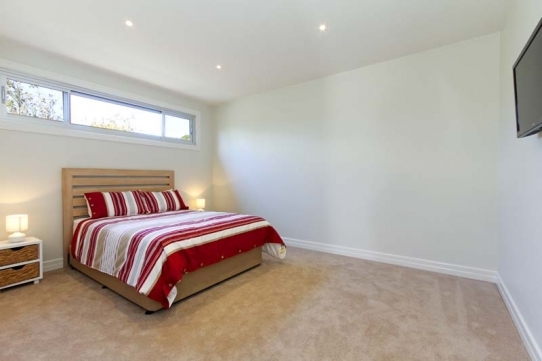 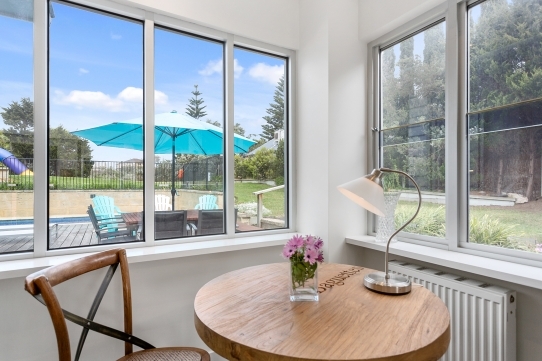 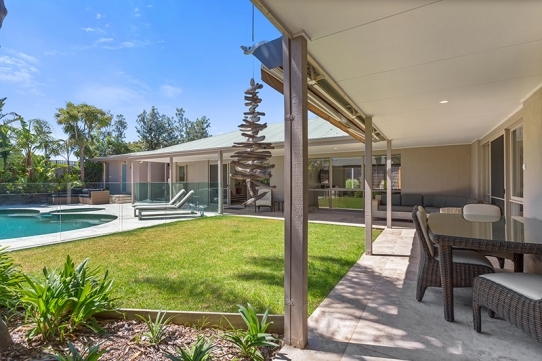 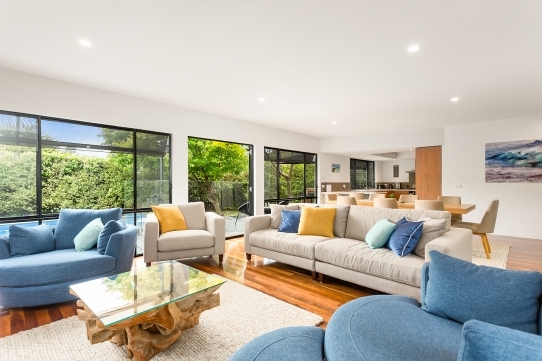 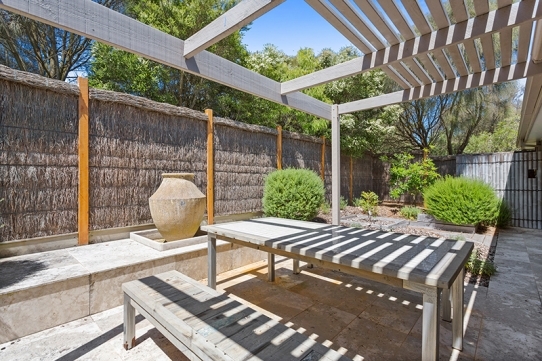 You can bask in the privacy of your fully fenced, secluded 1/3 acre of parkland gardens, whilst swimming in the pristine solar heated pool and gas heated spa. 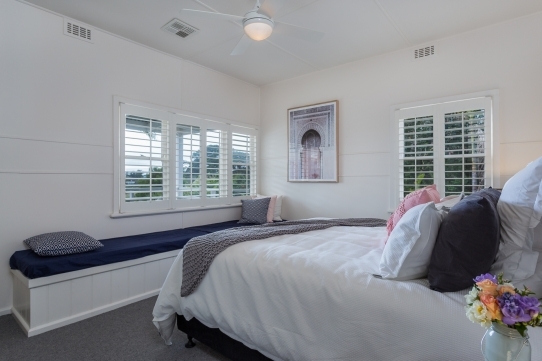 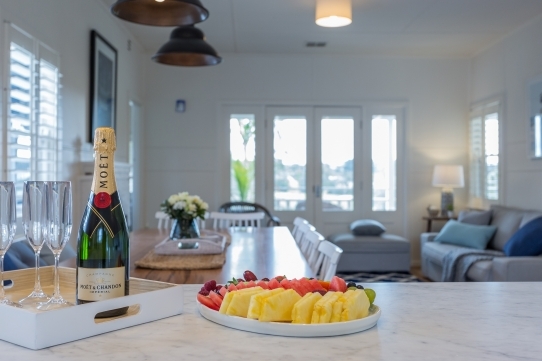 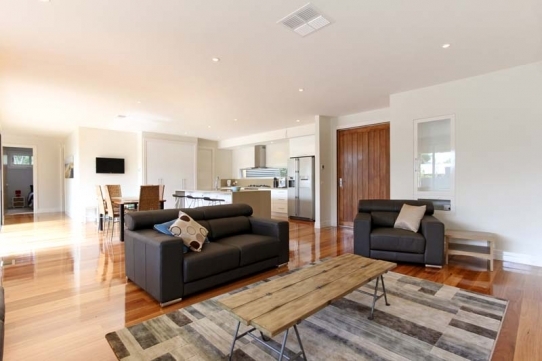 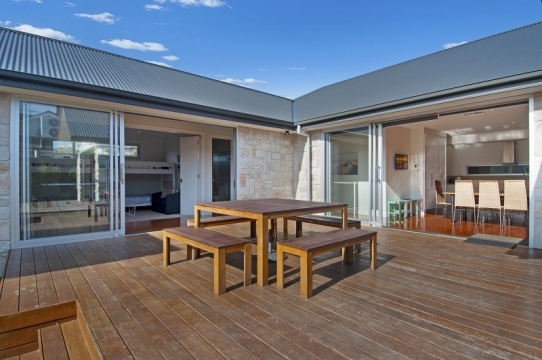 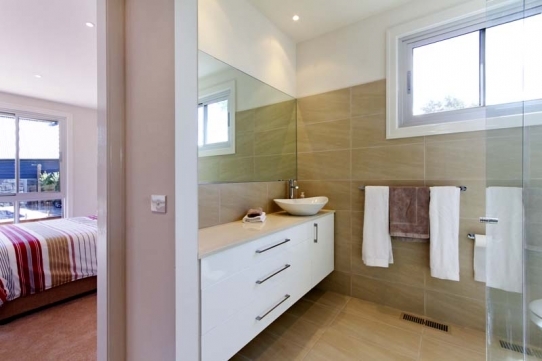 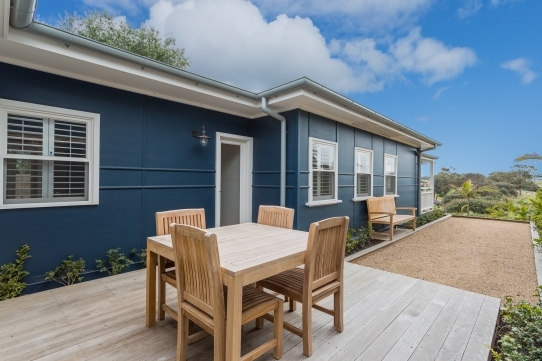 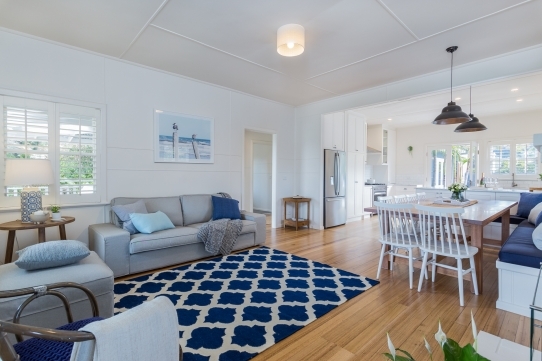 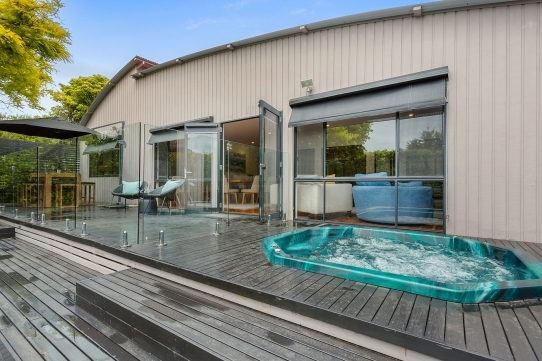 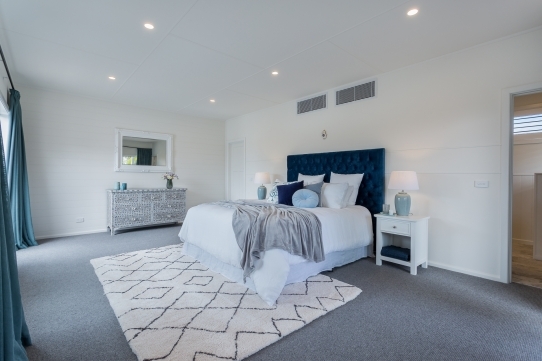 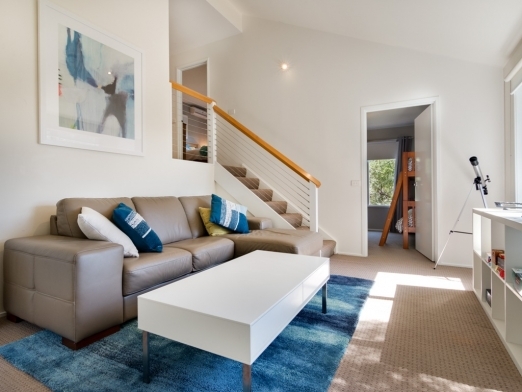 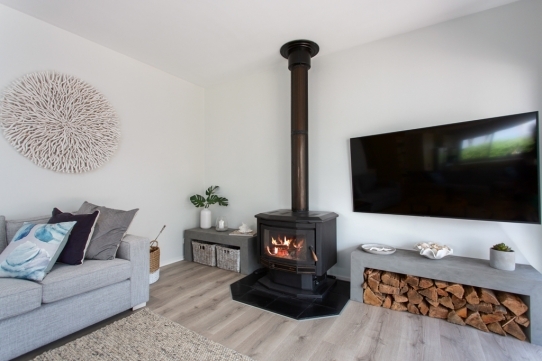 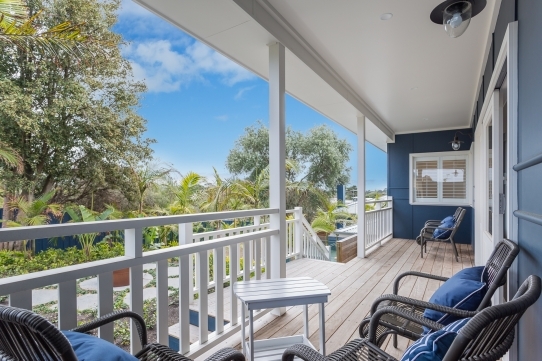 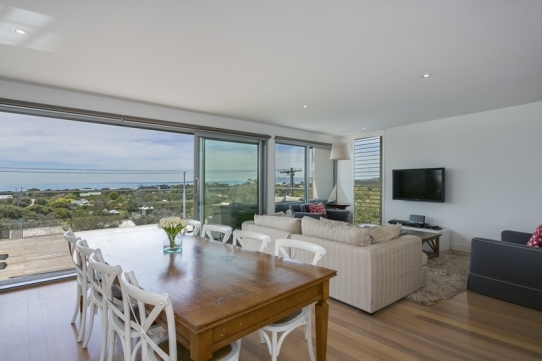 Seaview Retreat is the ideal in luxury, modern living. 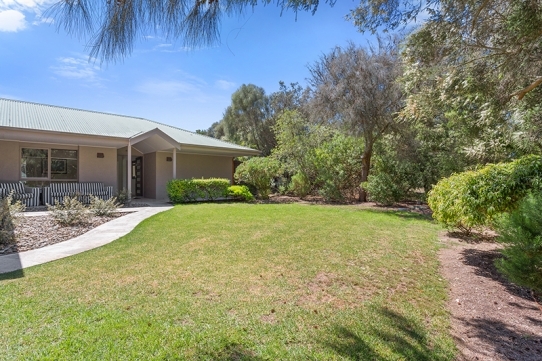 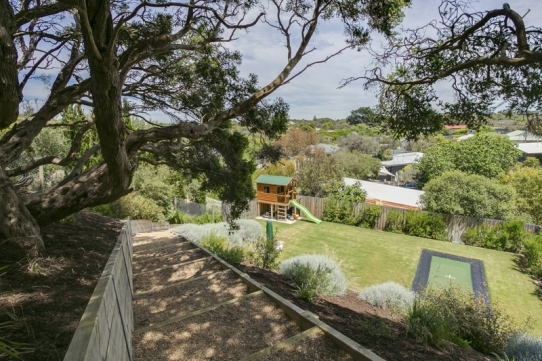 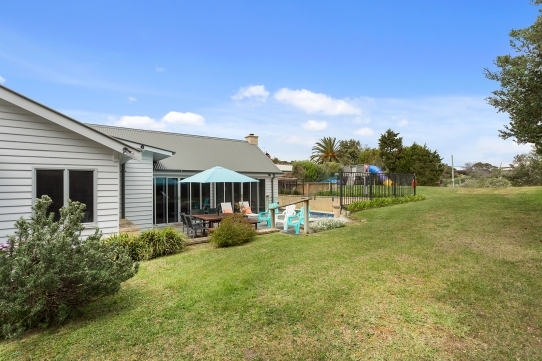 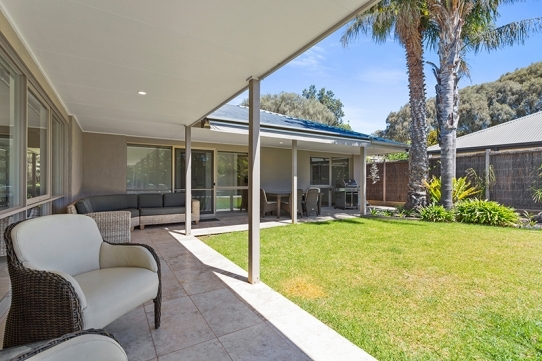 This fantastic family home has 4 bedrooms, 2 bathrooms and has amazing views of the bay and is just 400 metres walk to the beach! 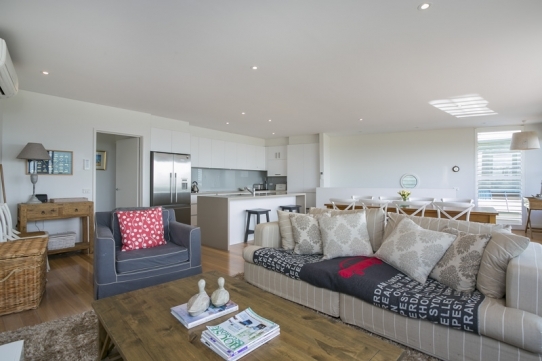 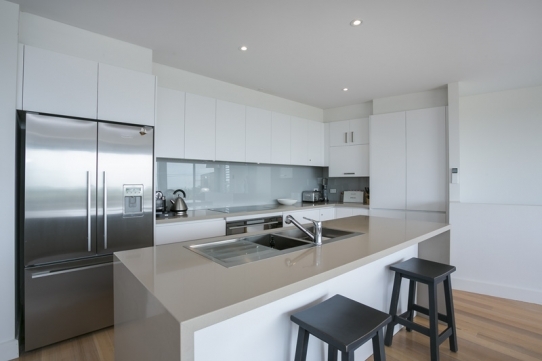 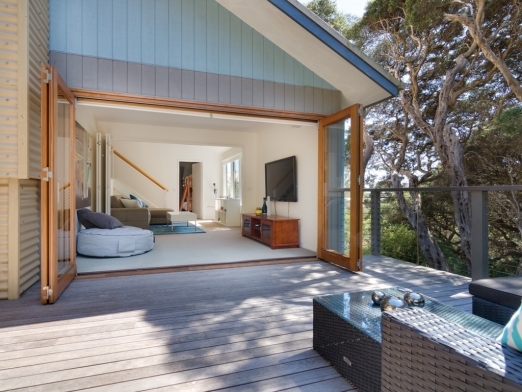 Serenity in the Sun is an elevated modern beach house with all of the modern comforts. 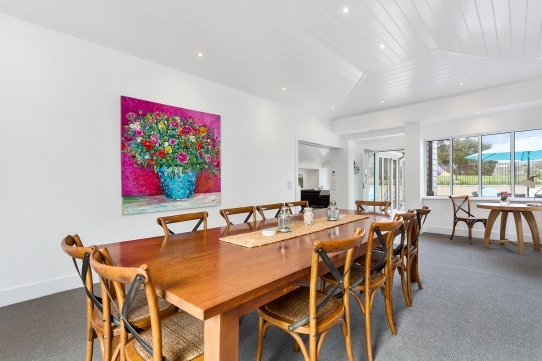 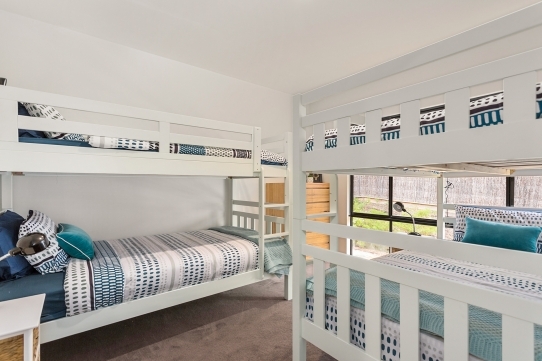 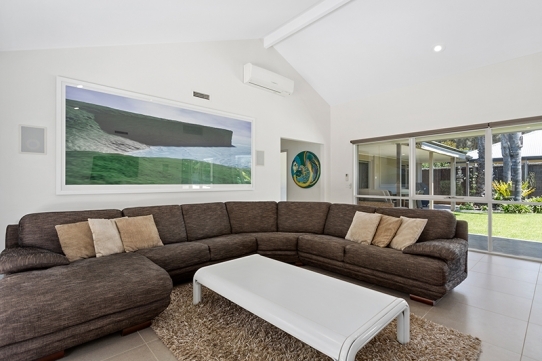 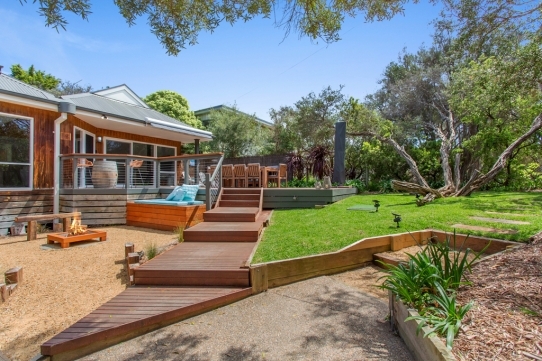 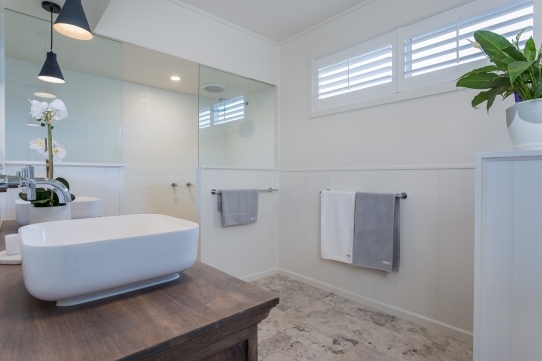 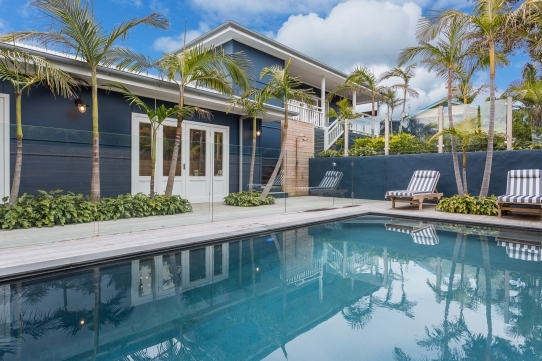 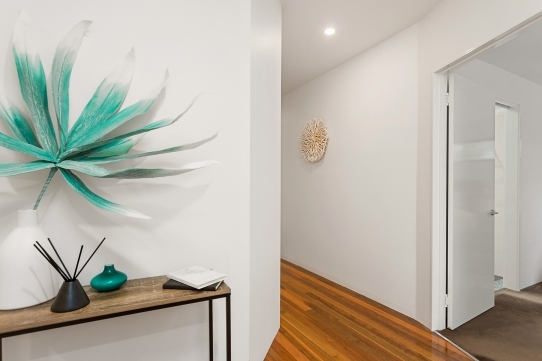 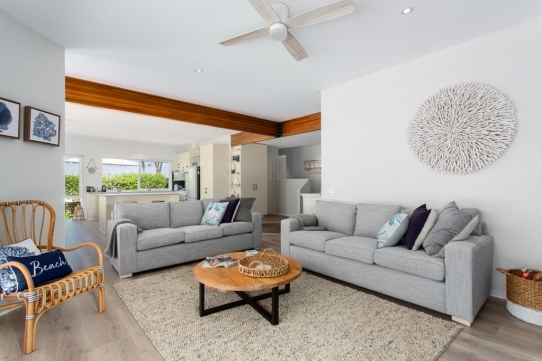 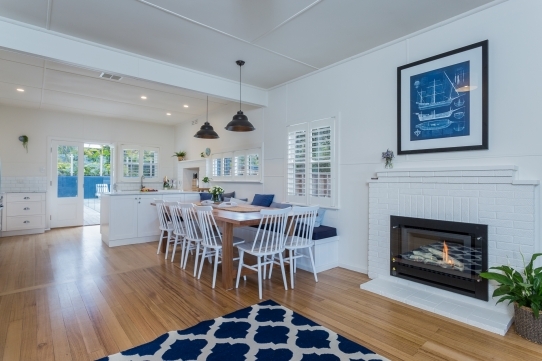 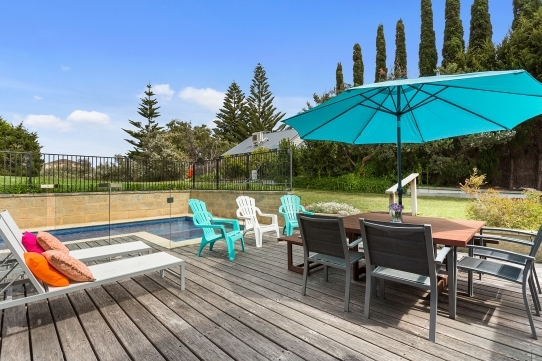 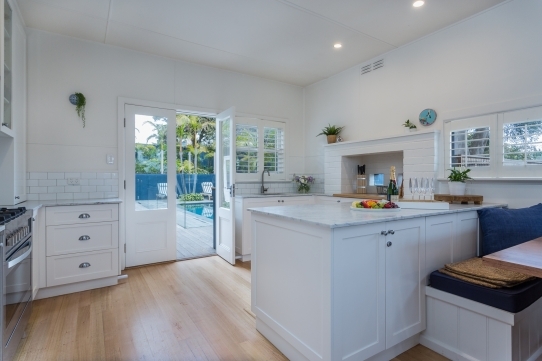 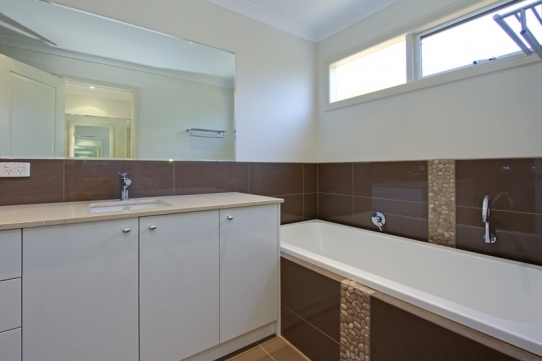 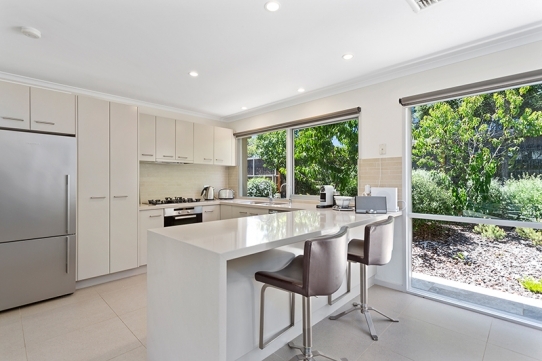 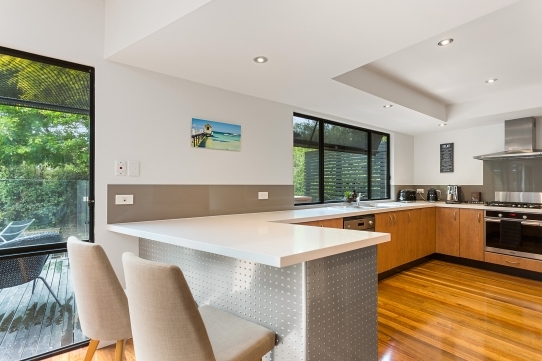 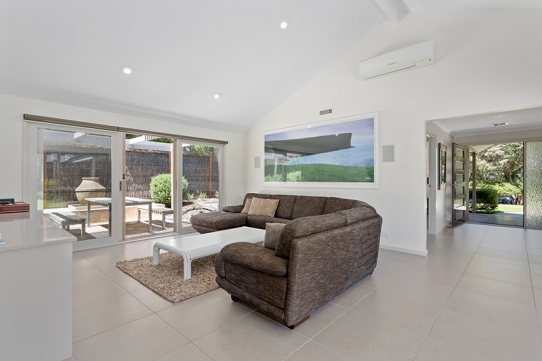 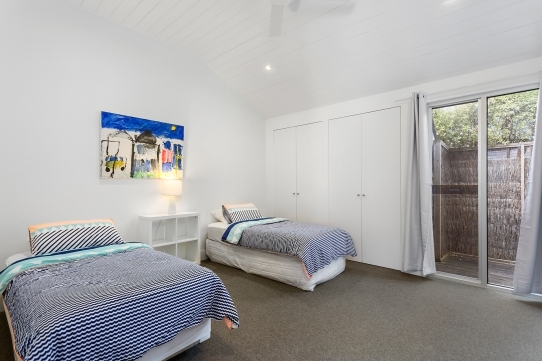 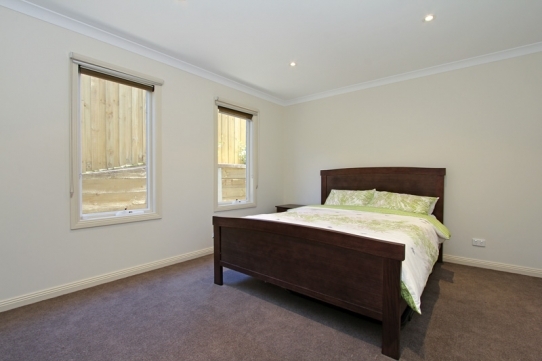 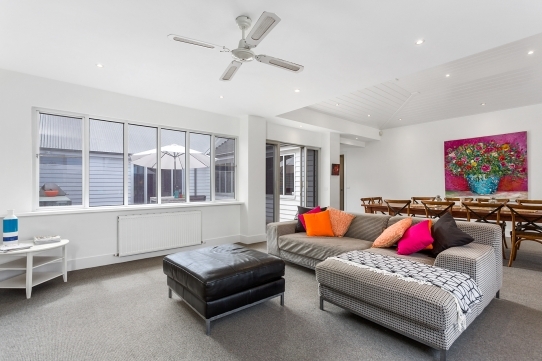 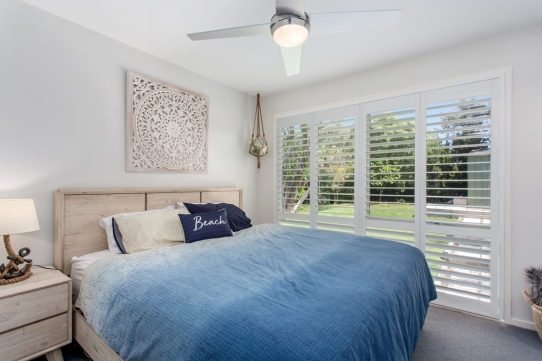 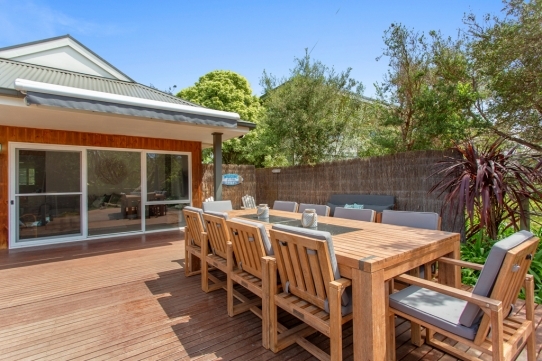 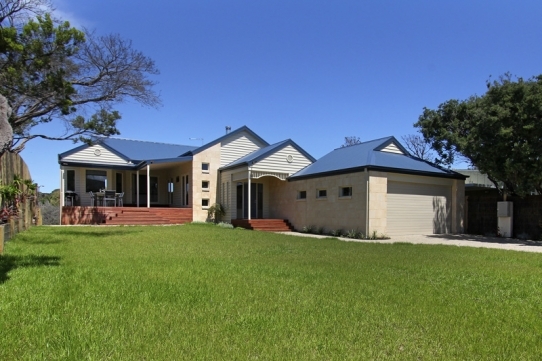 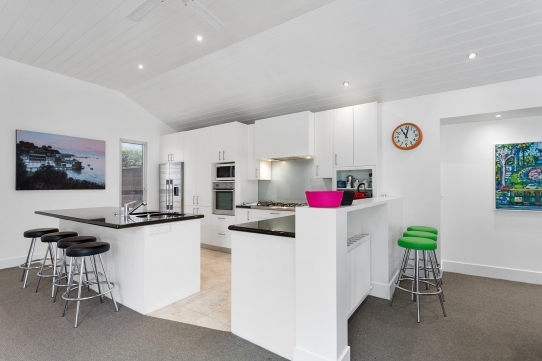 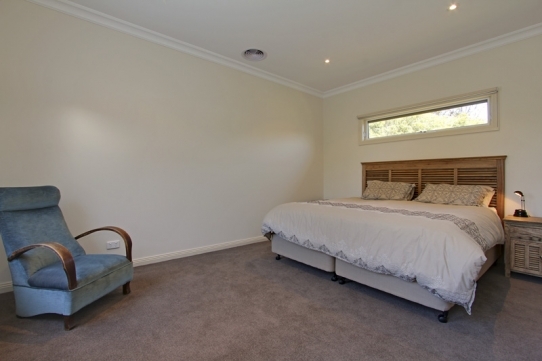 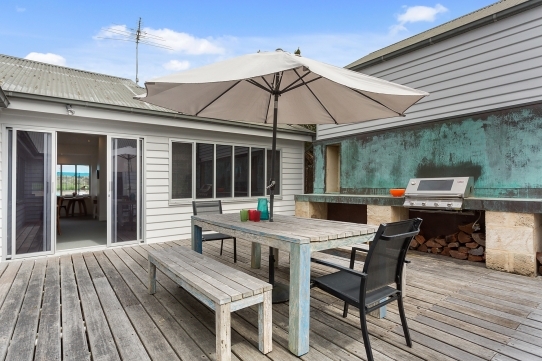 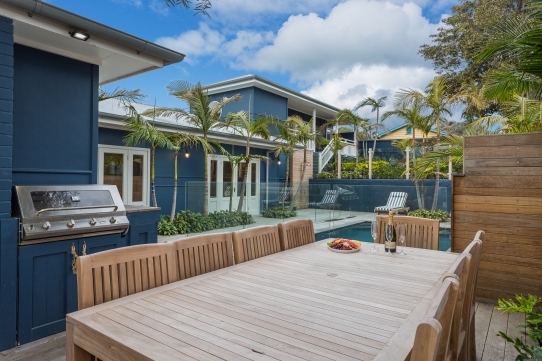 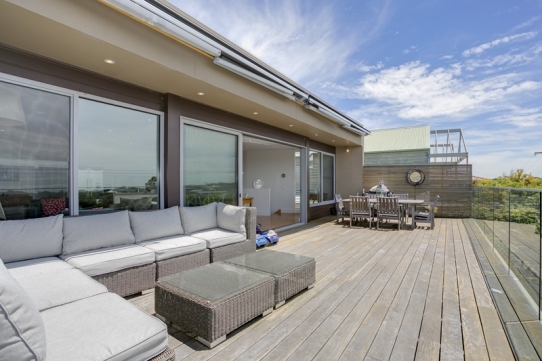 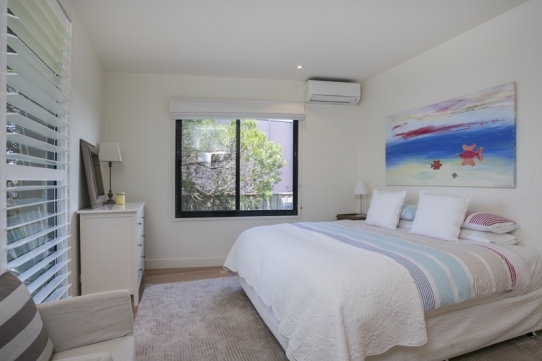 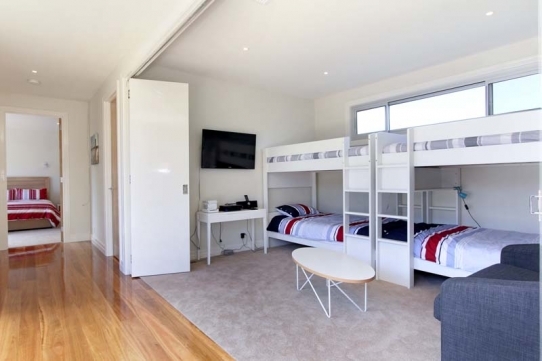 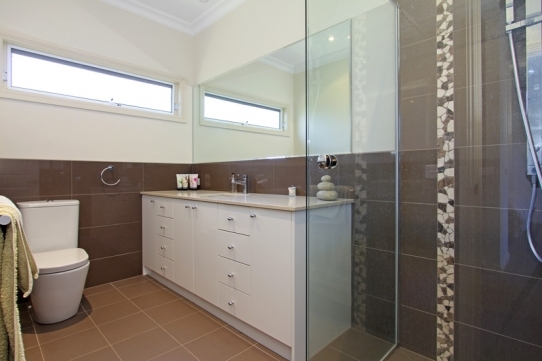 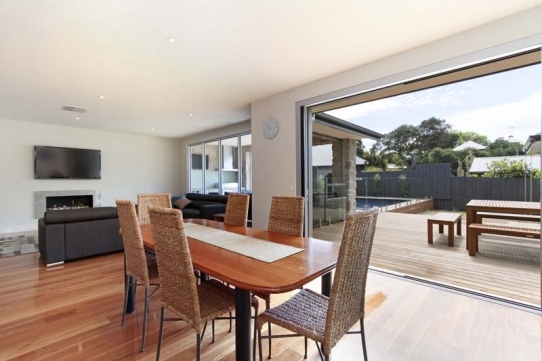 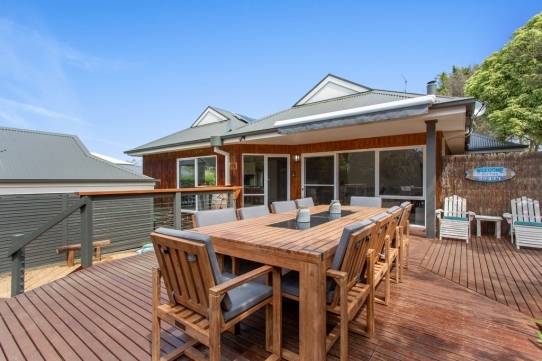 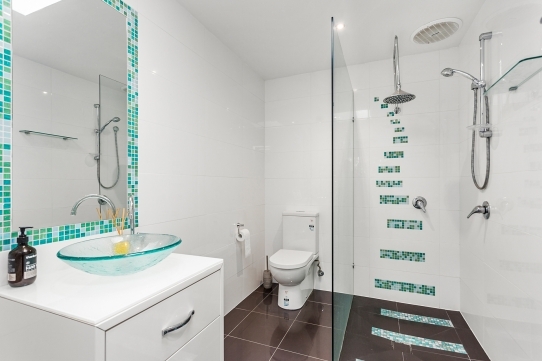 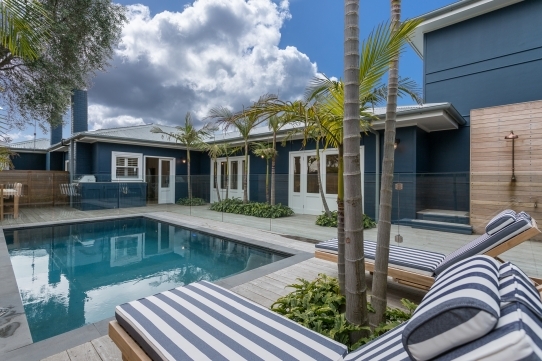 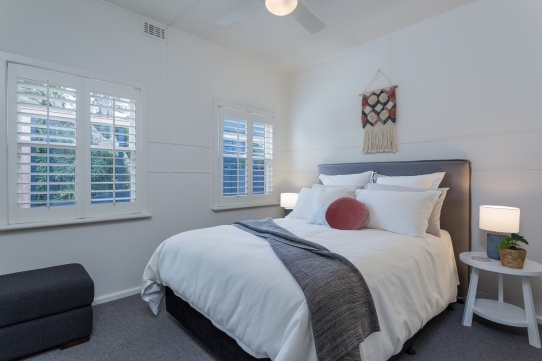 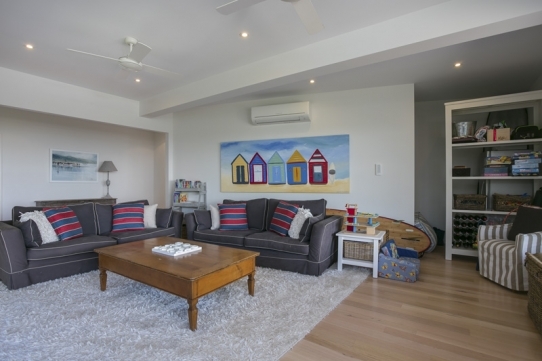 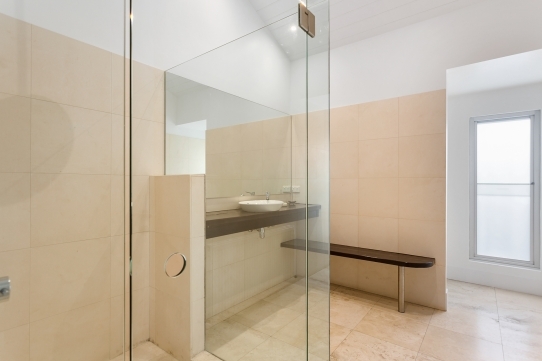 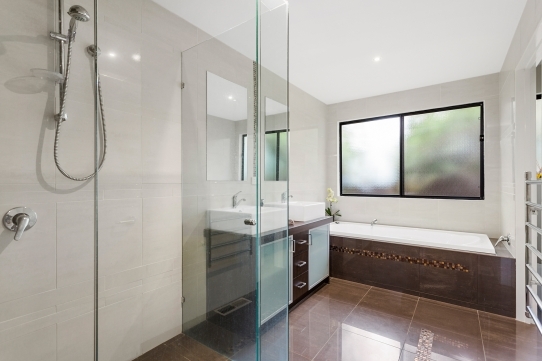 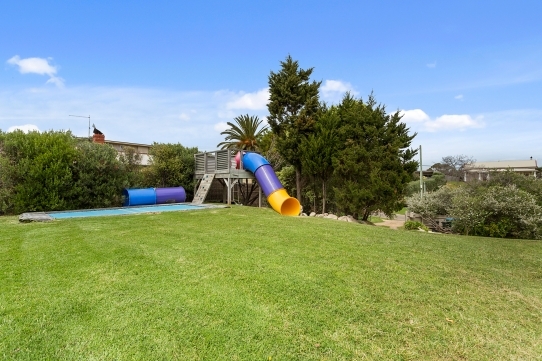 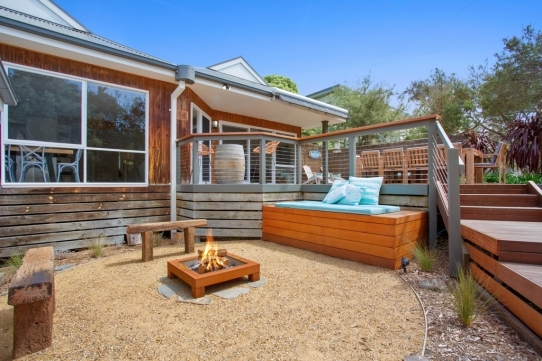 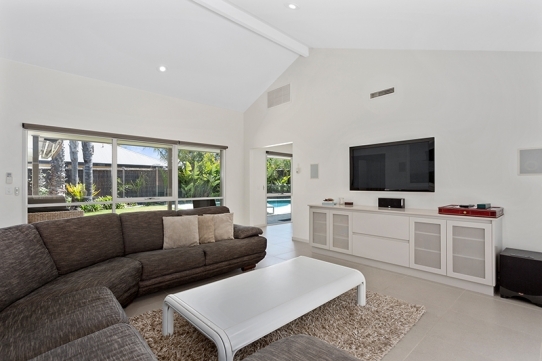 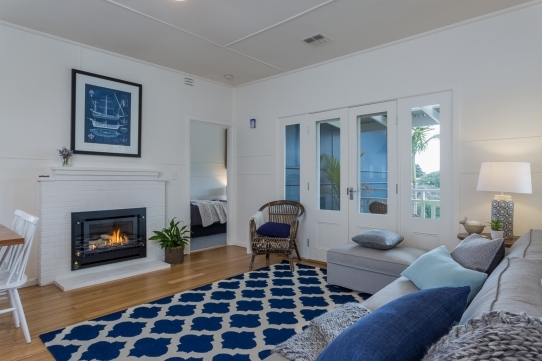 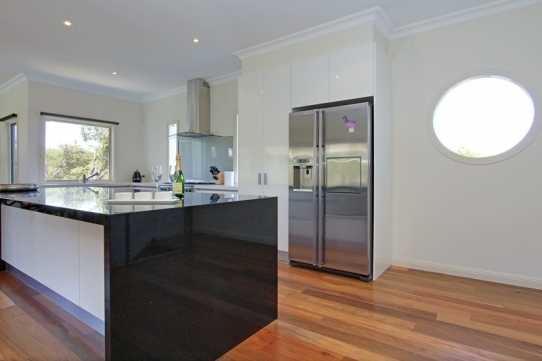 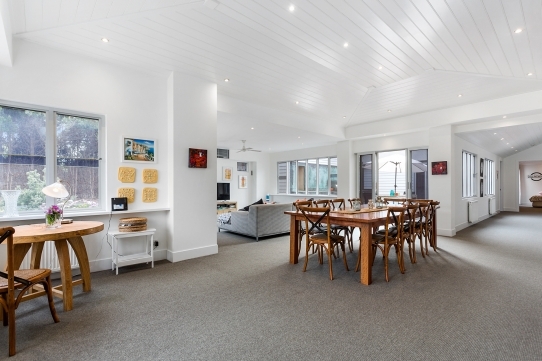 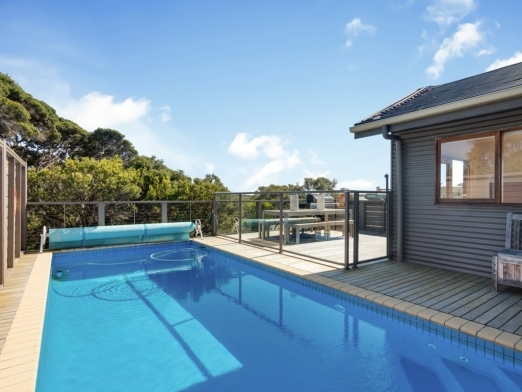 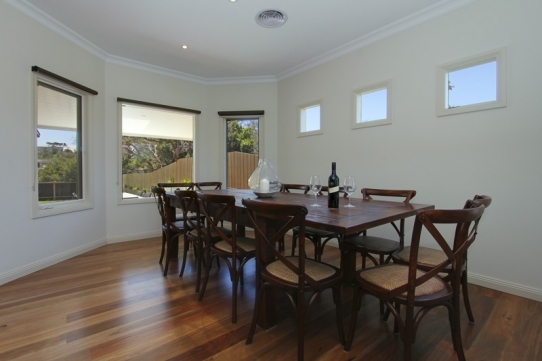 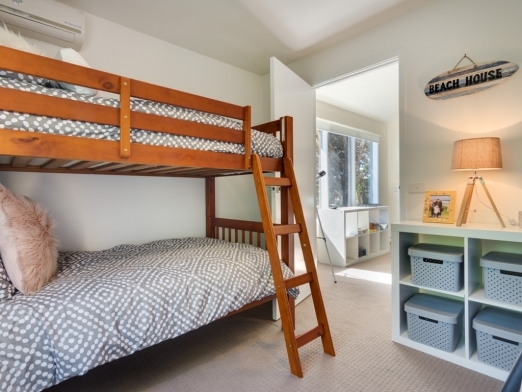 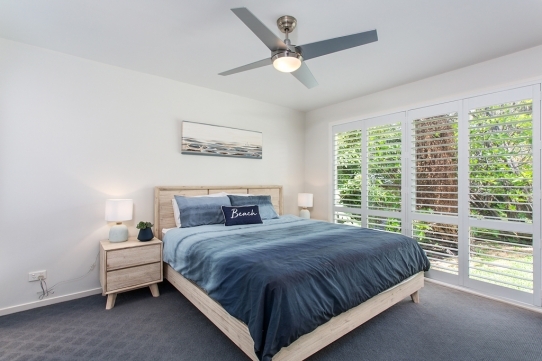 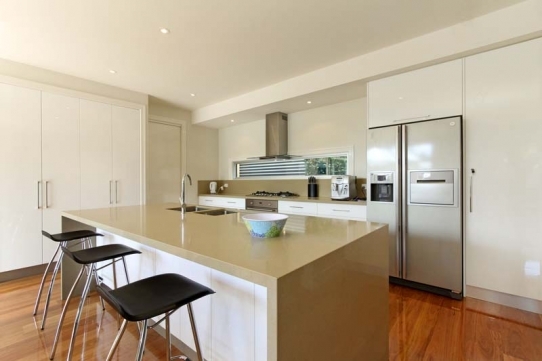 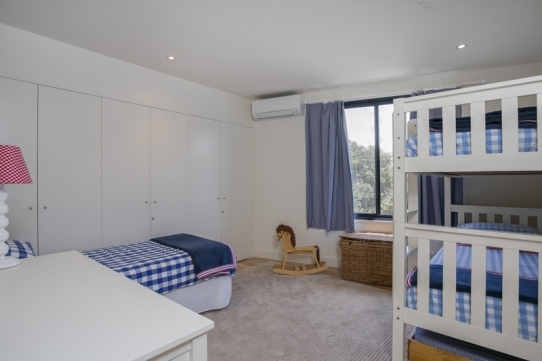 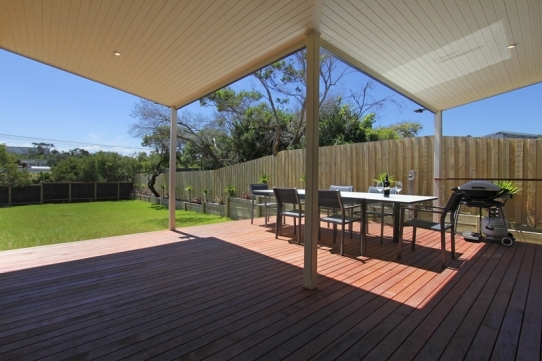 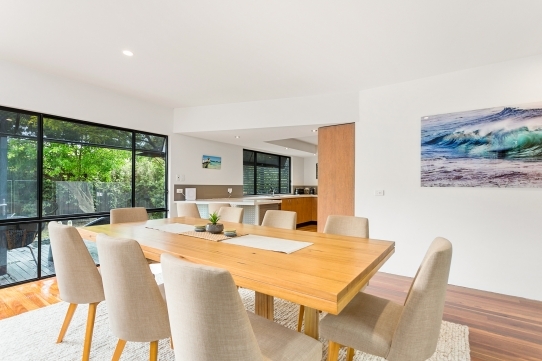 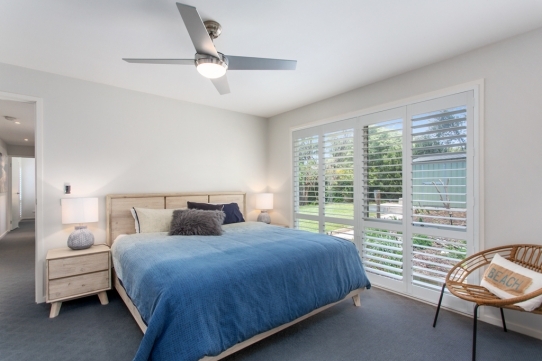 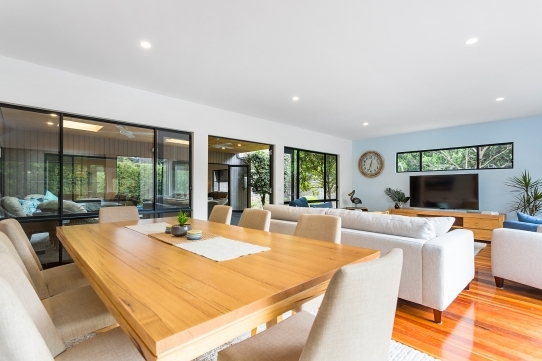 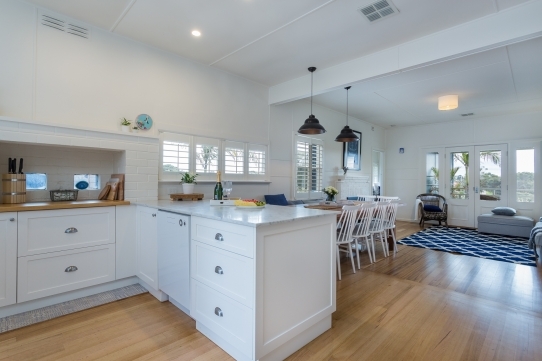 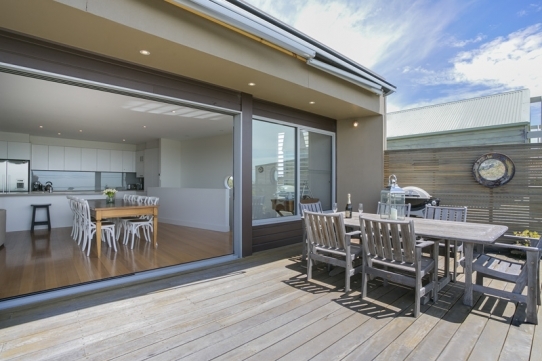 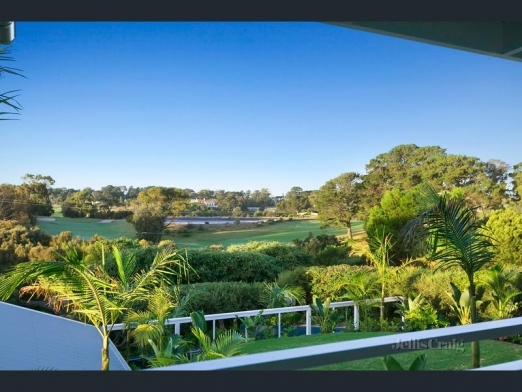 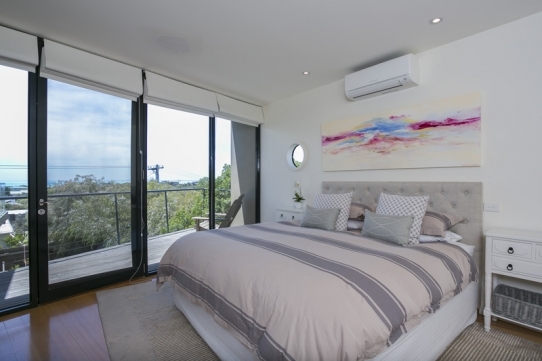 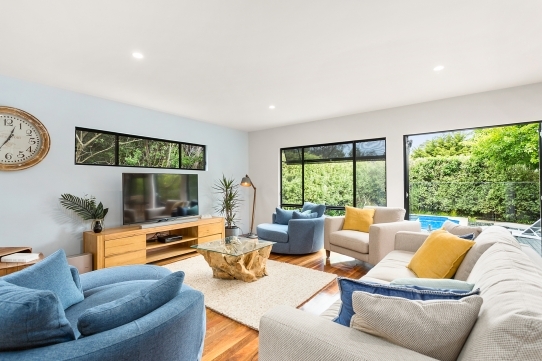 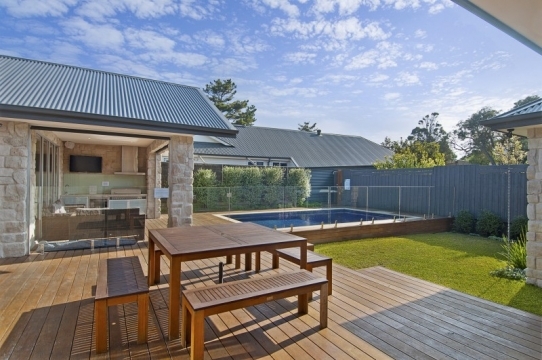 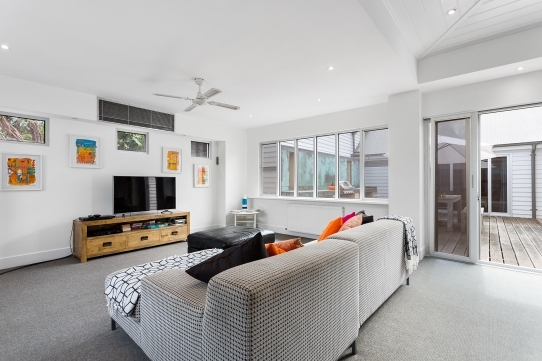 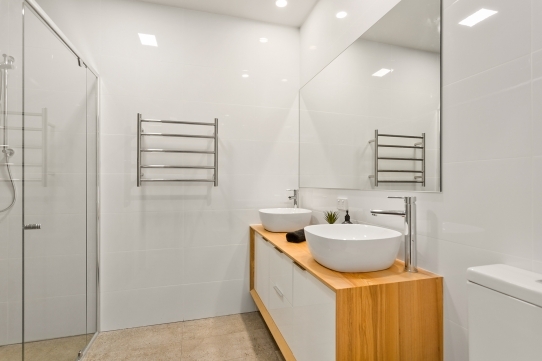 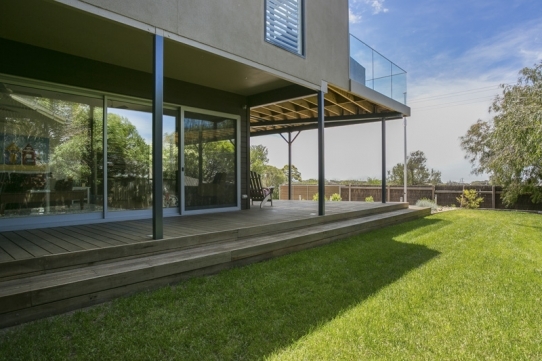 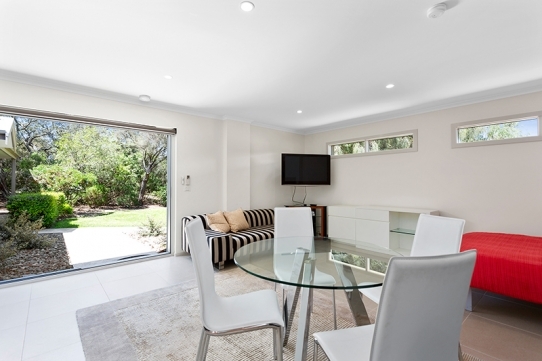 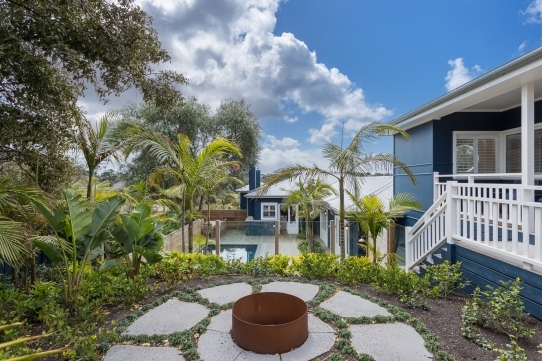 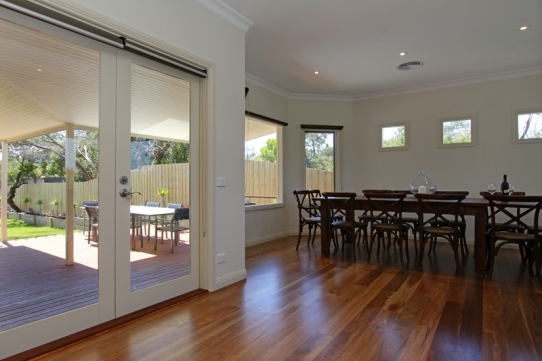 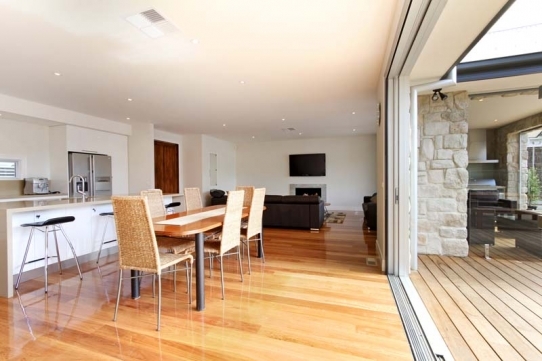 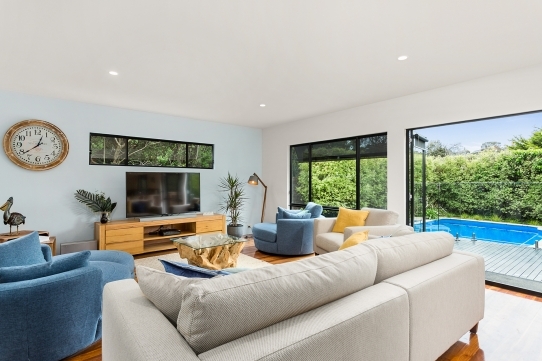 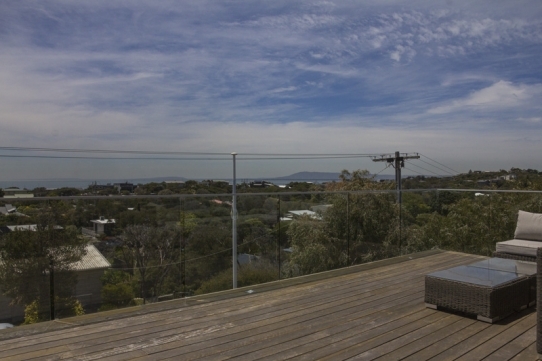 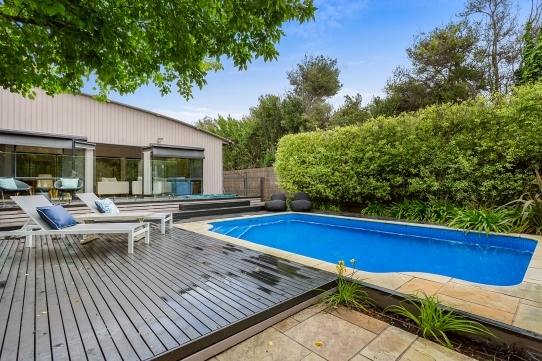 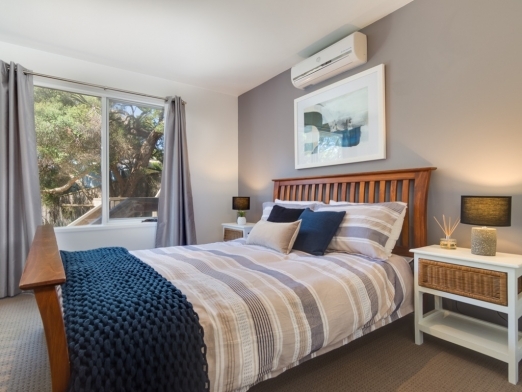 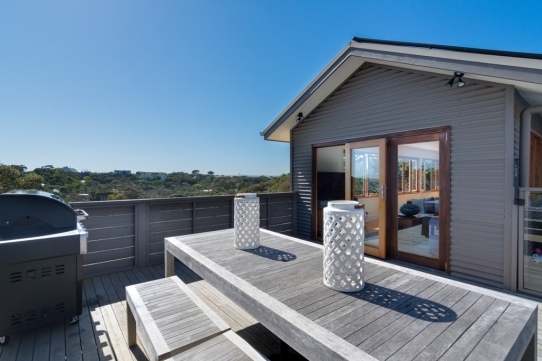 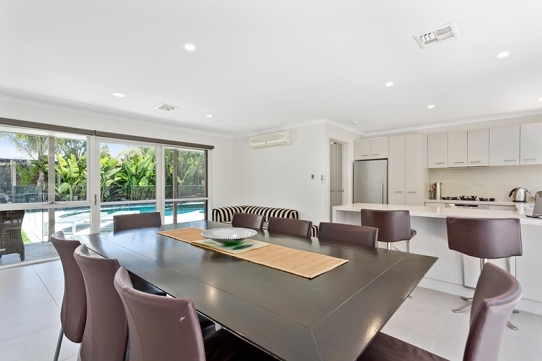 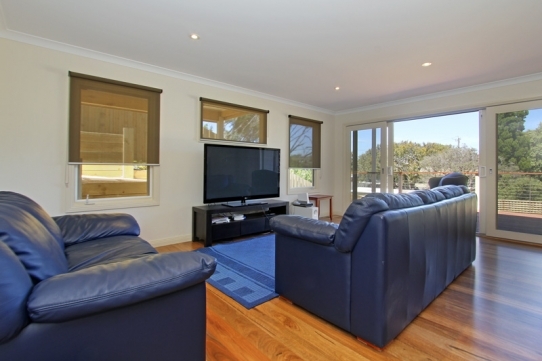 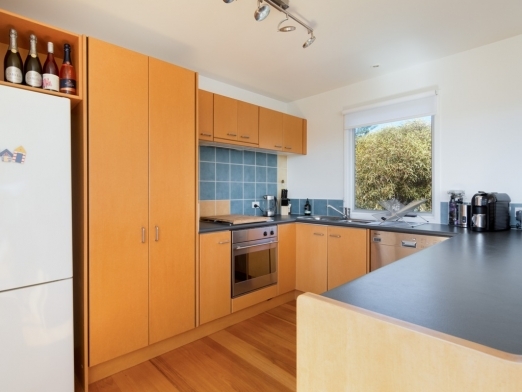 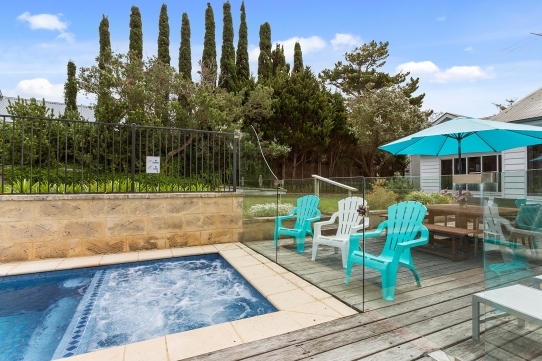 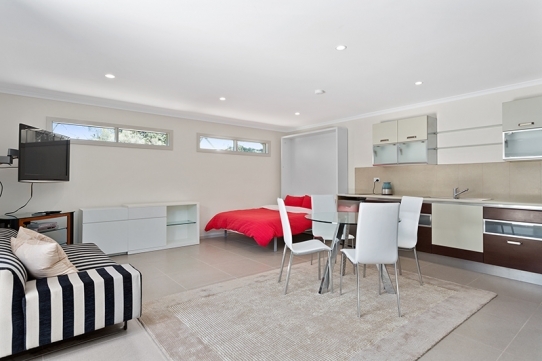 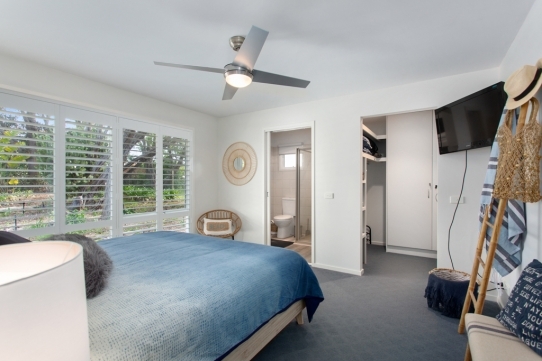 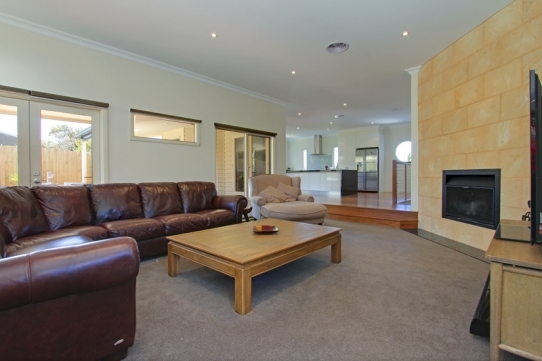 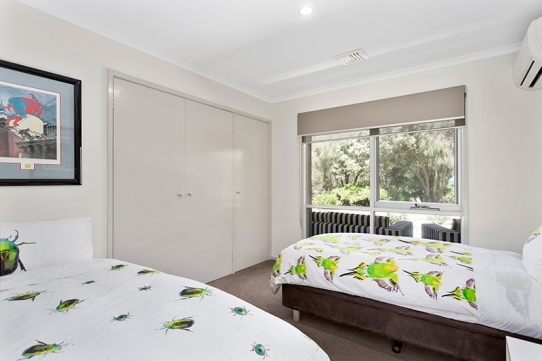 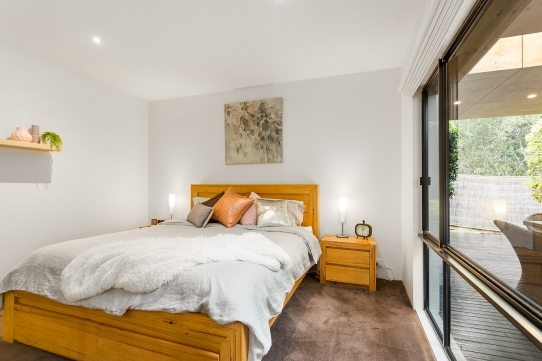 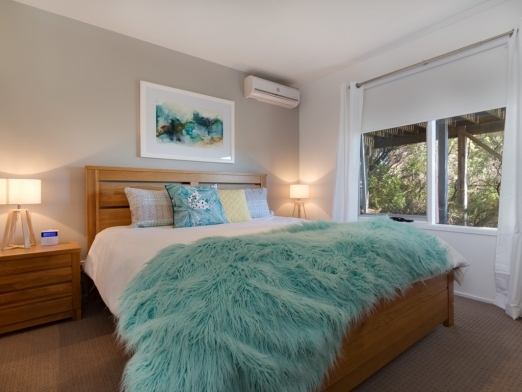 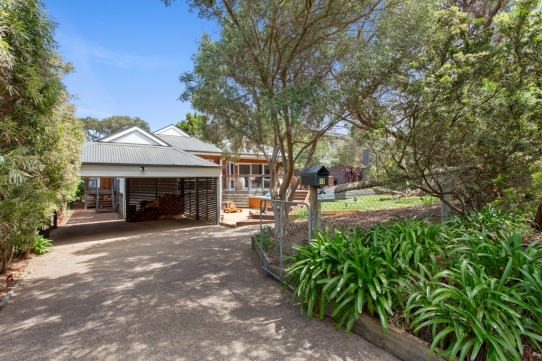 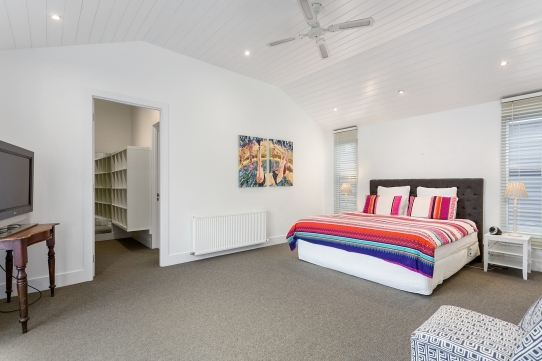 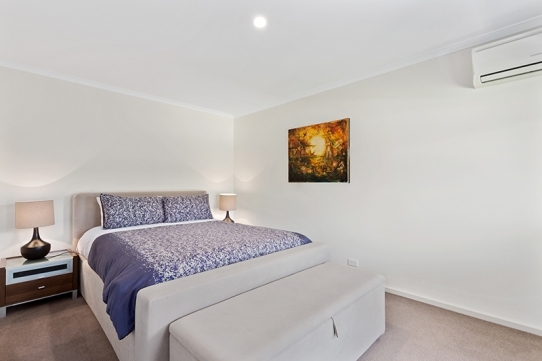 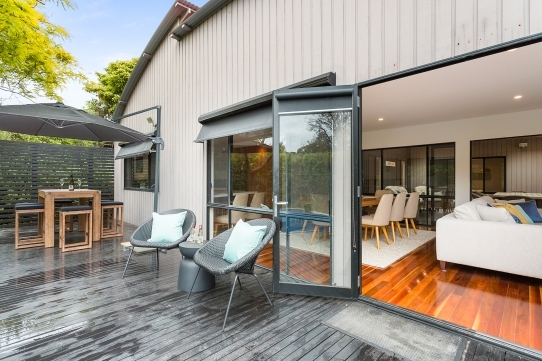 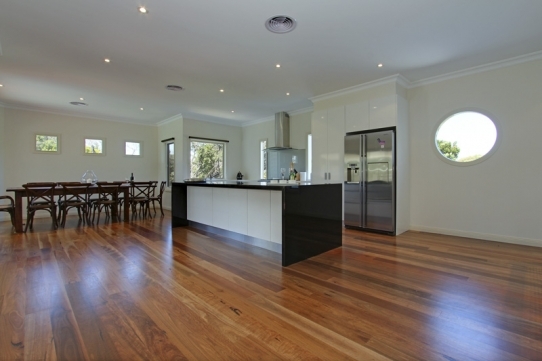 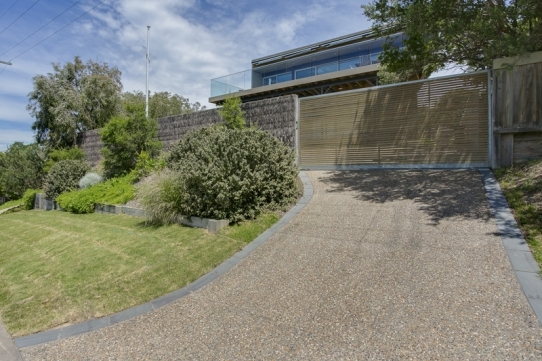 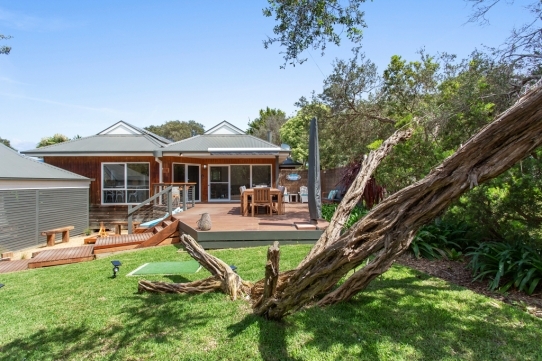 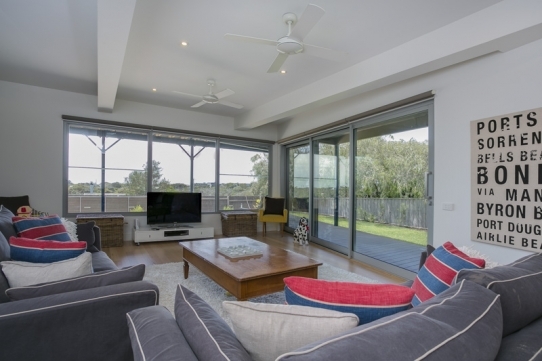 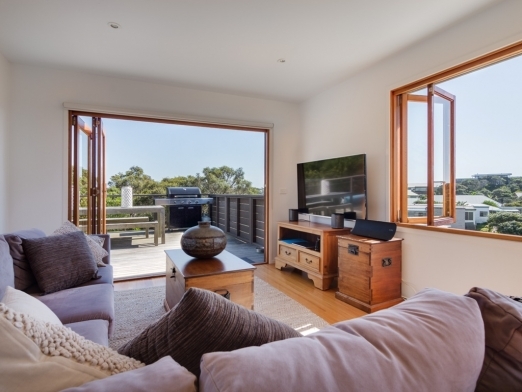 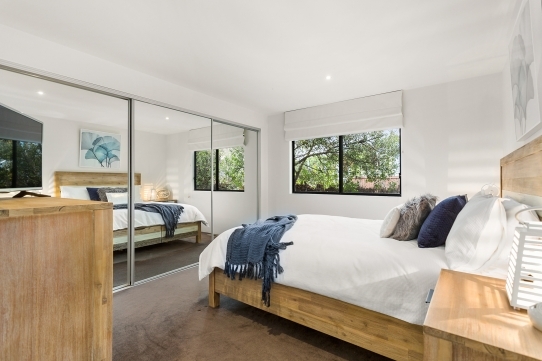 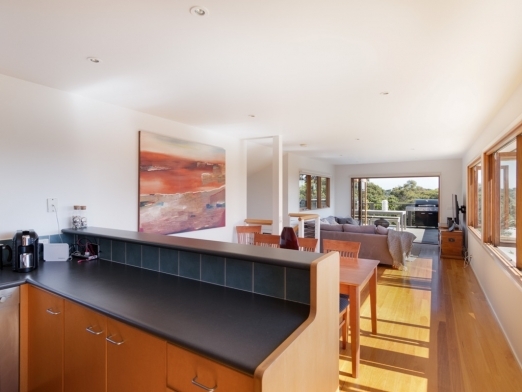 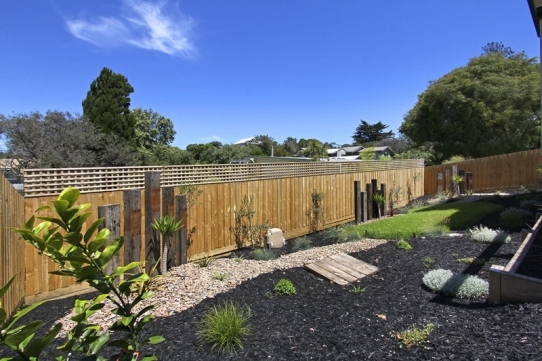 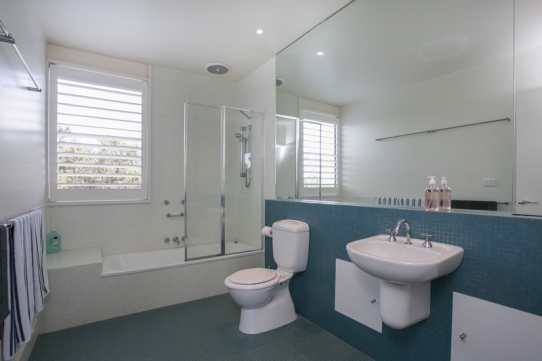 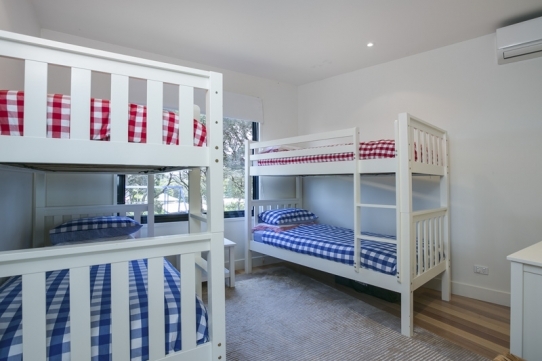 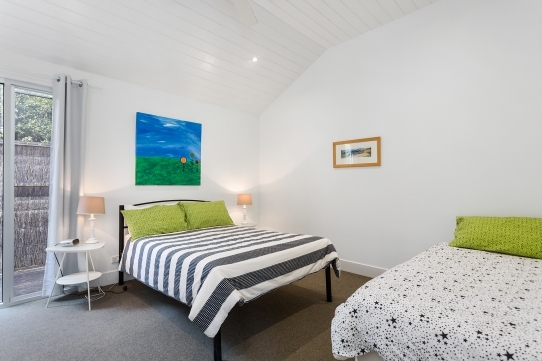 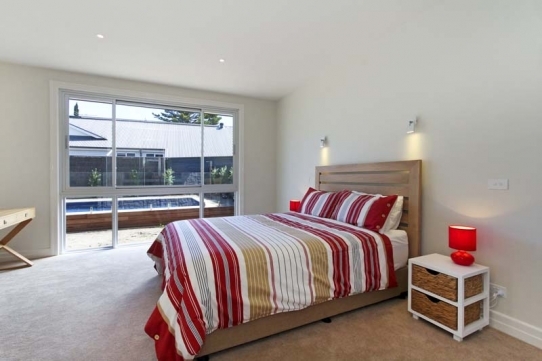 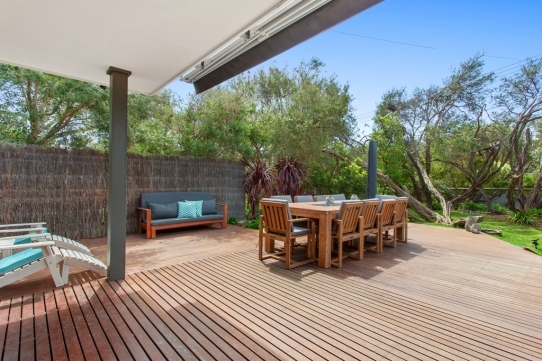 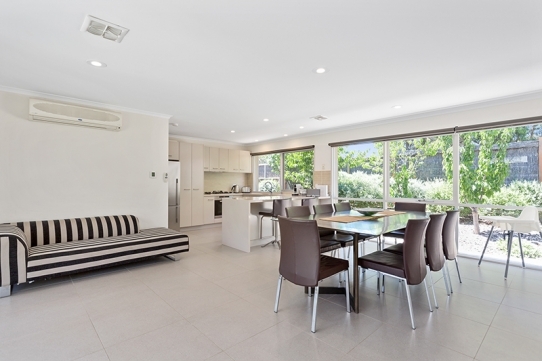 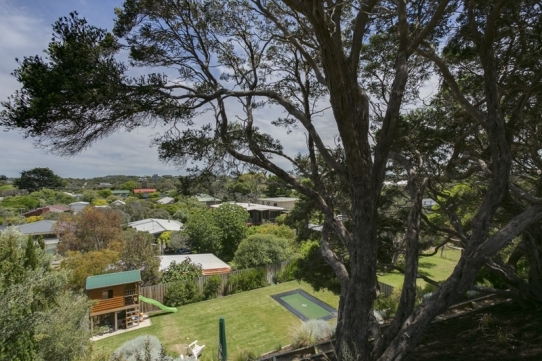 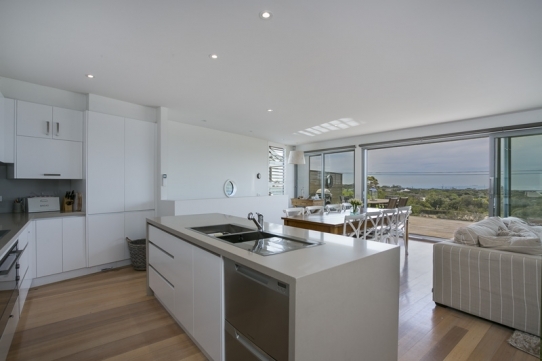 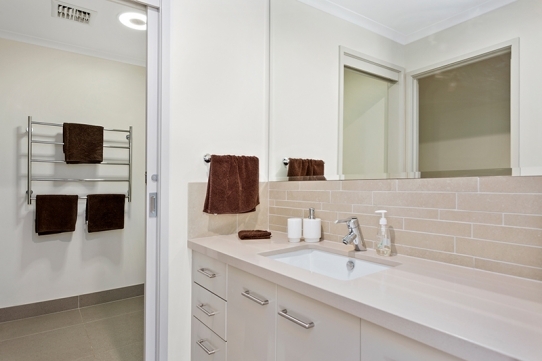 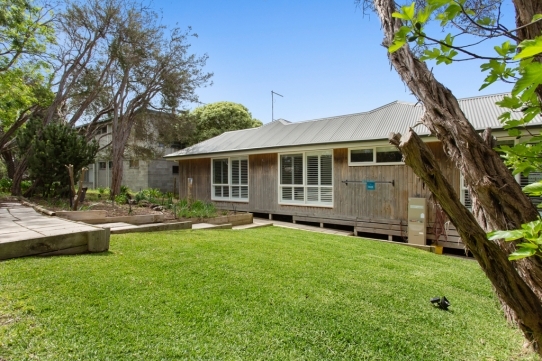 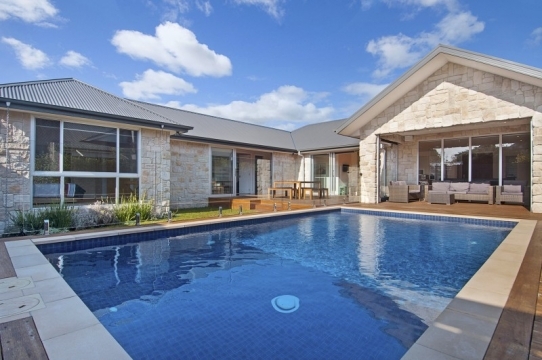 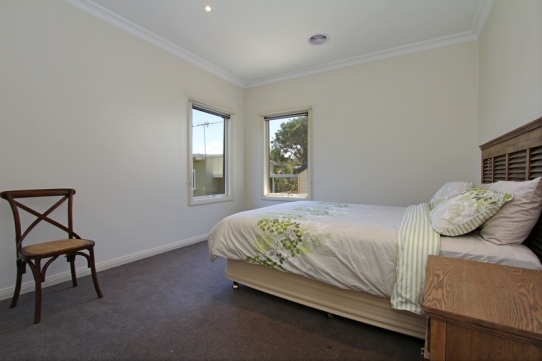 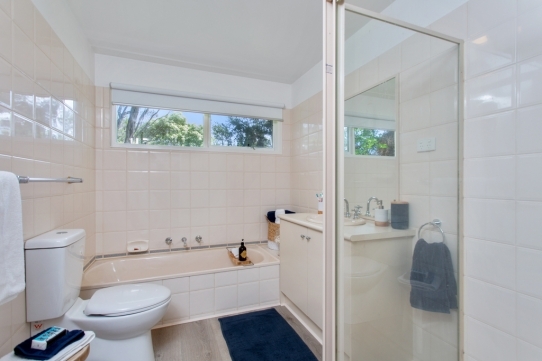 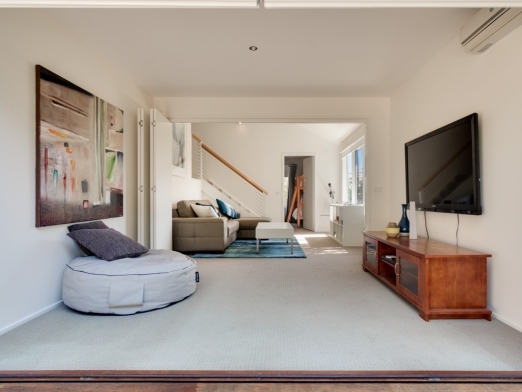 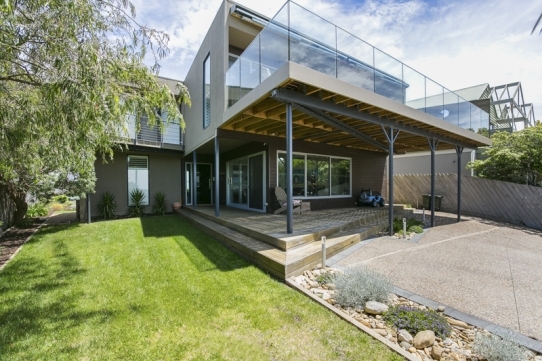 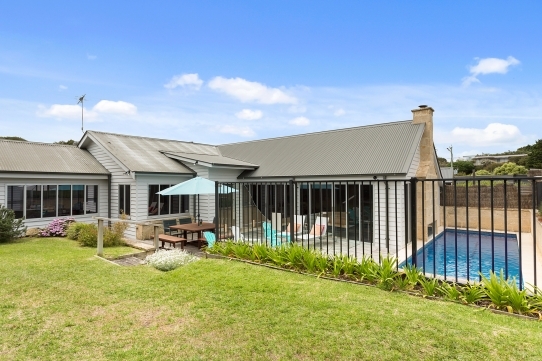 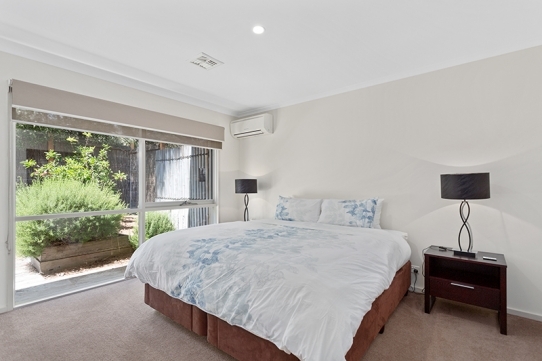 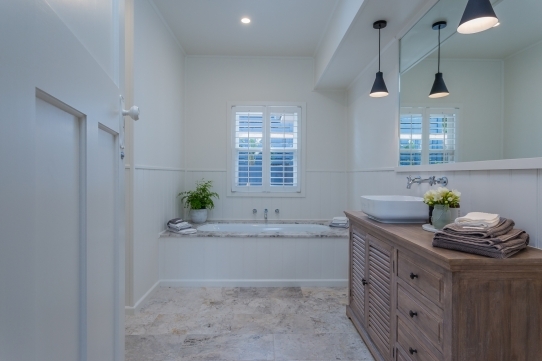 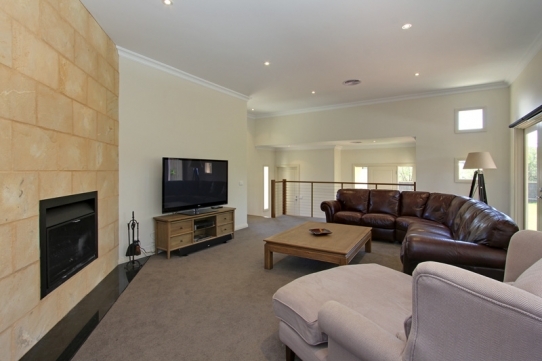 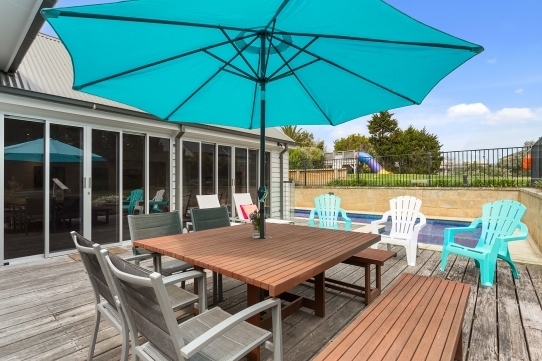 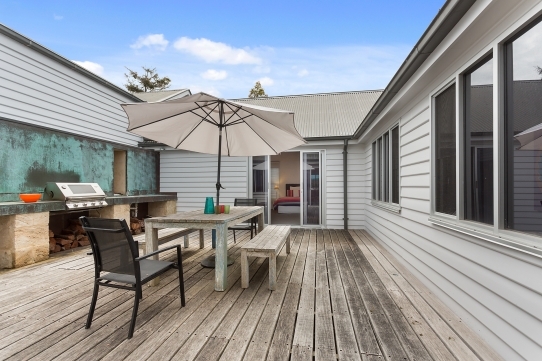 The house has a private solar heated swimming pool and is a very short walk to the Koonya back beach. 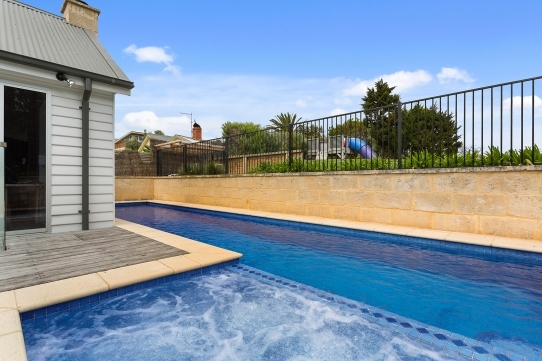 This fantastic family home has 5 bedrooms, 3 bathrooms and an outdoor area to envy, including a pool! 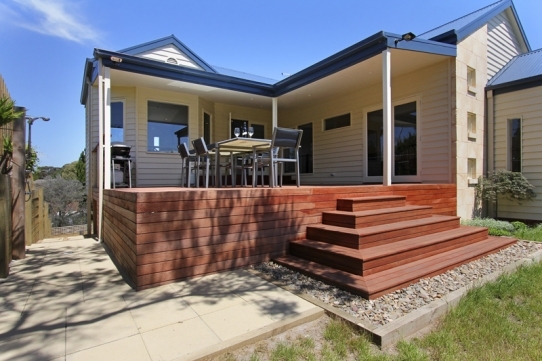 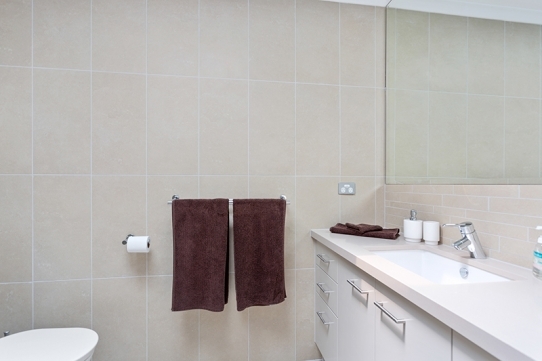 The house is newly completed and the owner has lovingly thought of everything that is needed to make a perfect holiday.